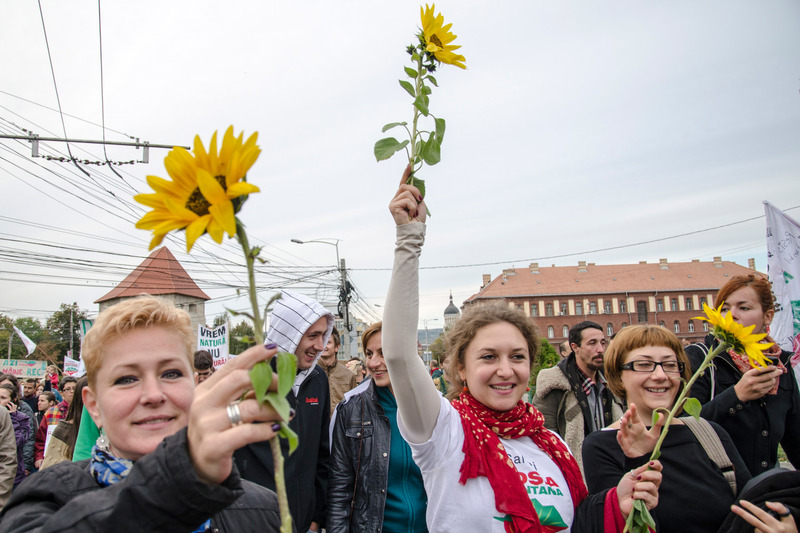 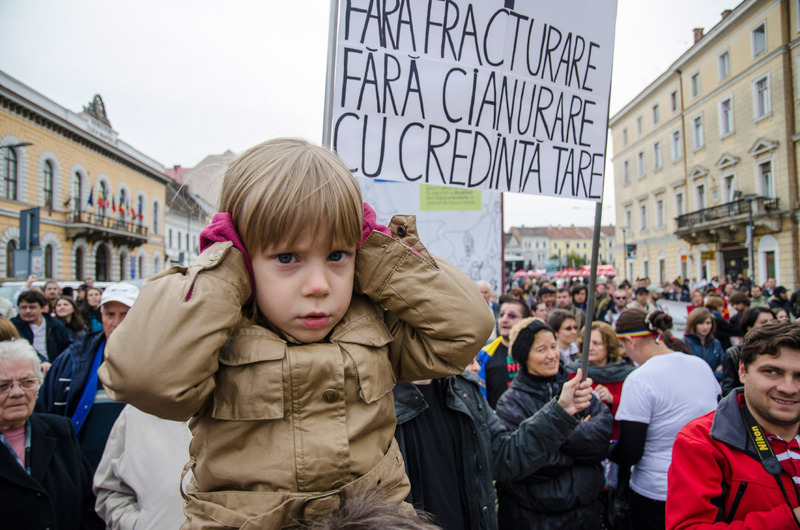 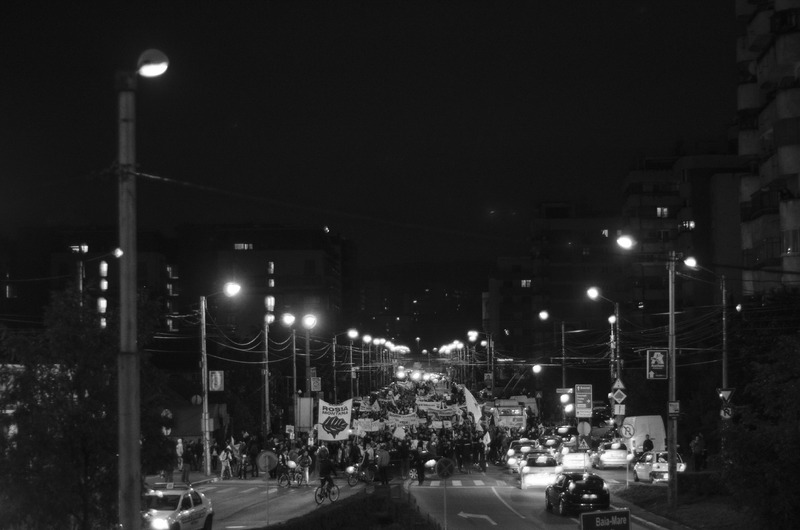 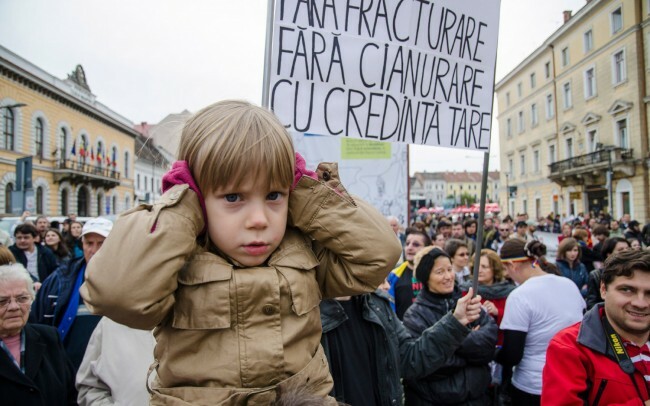 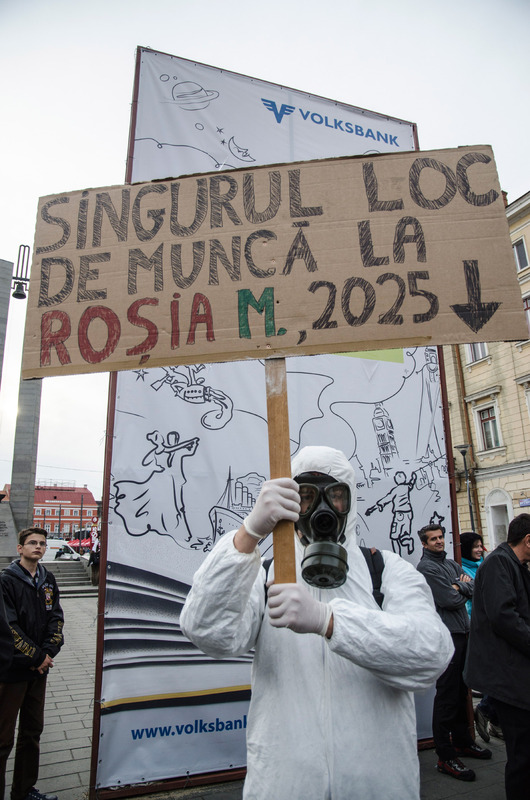 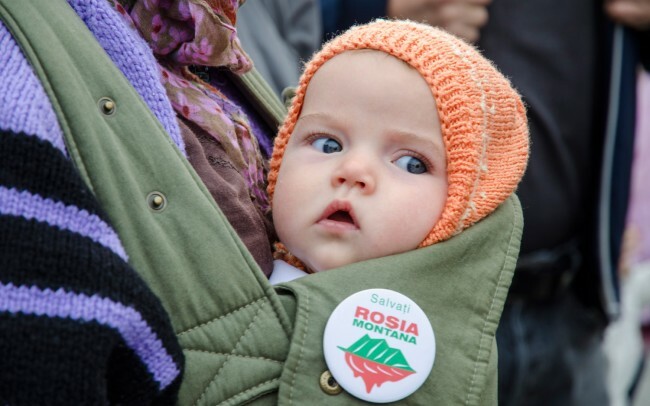 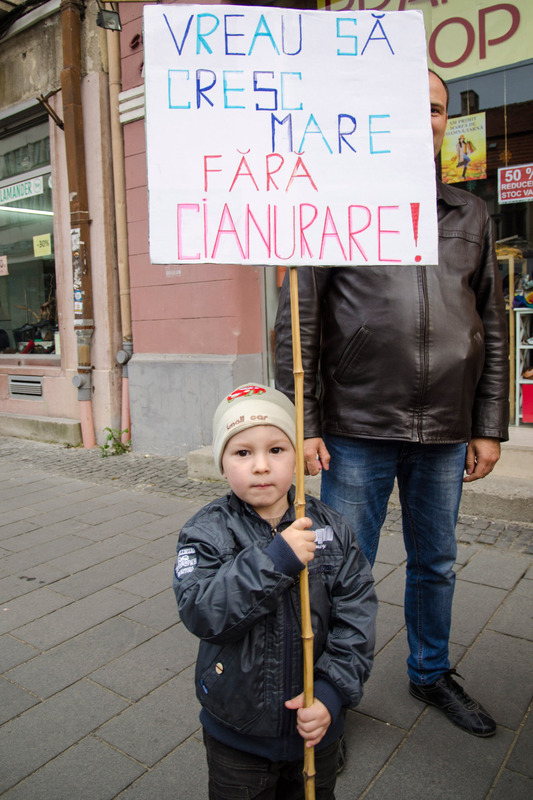 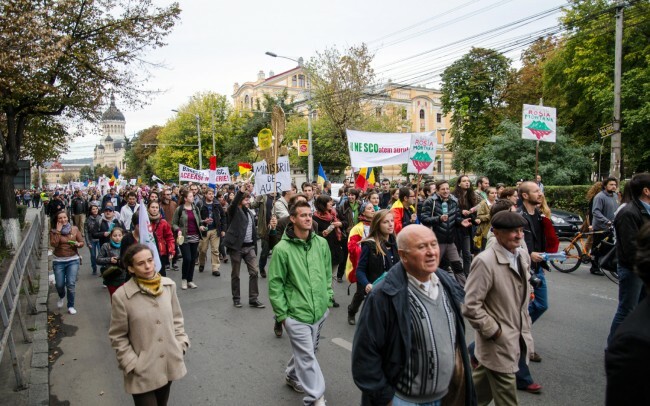 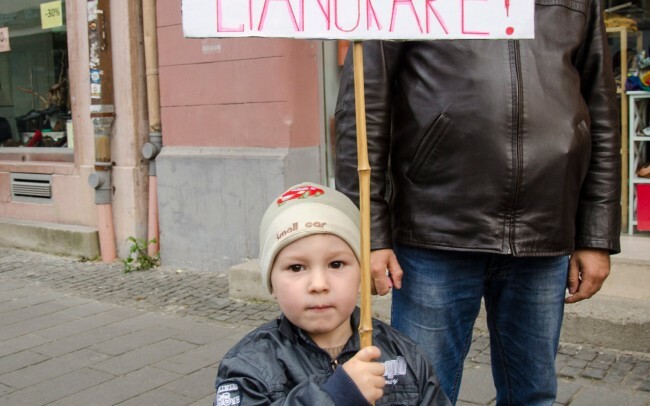 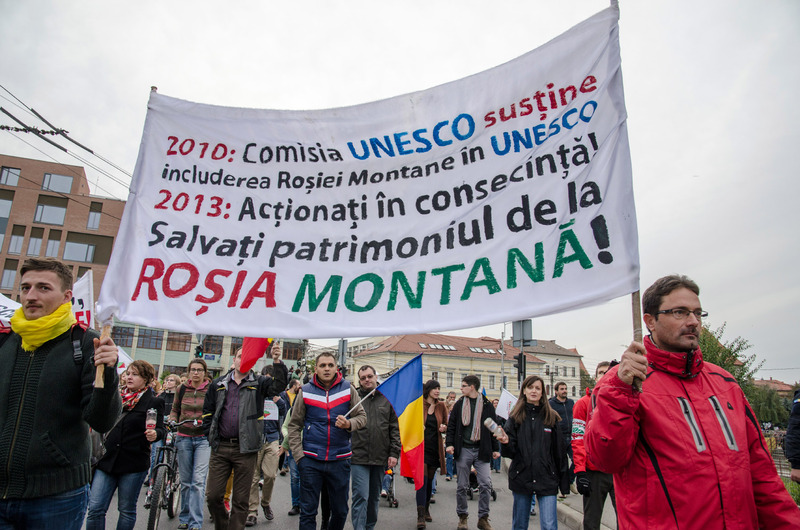 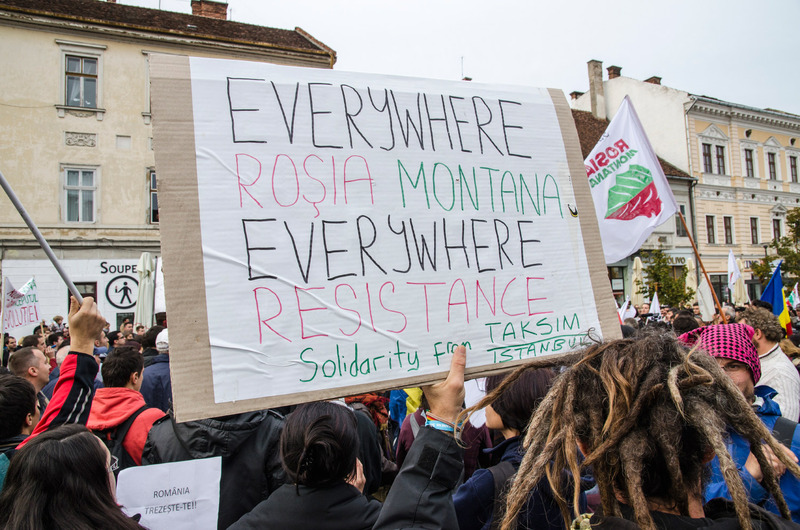 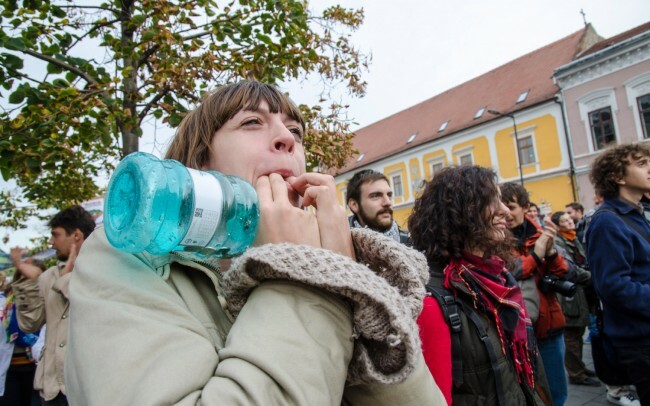 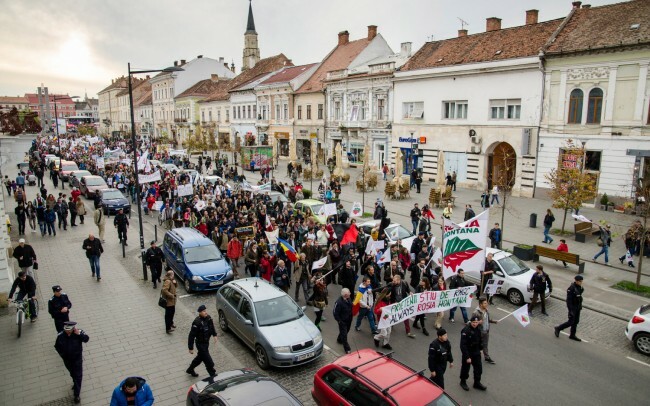 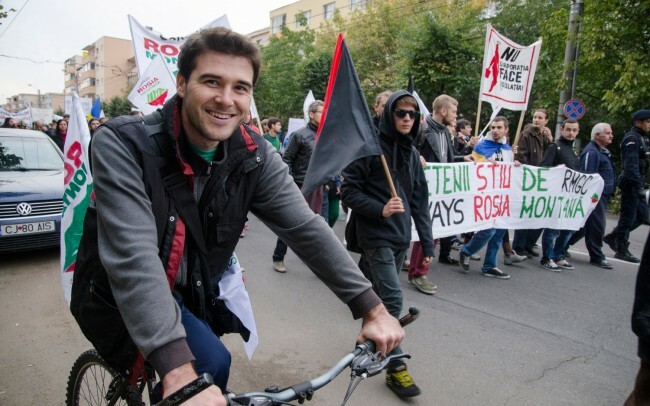 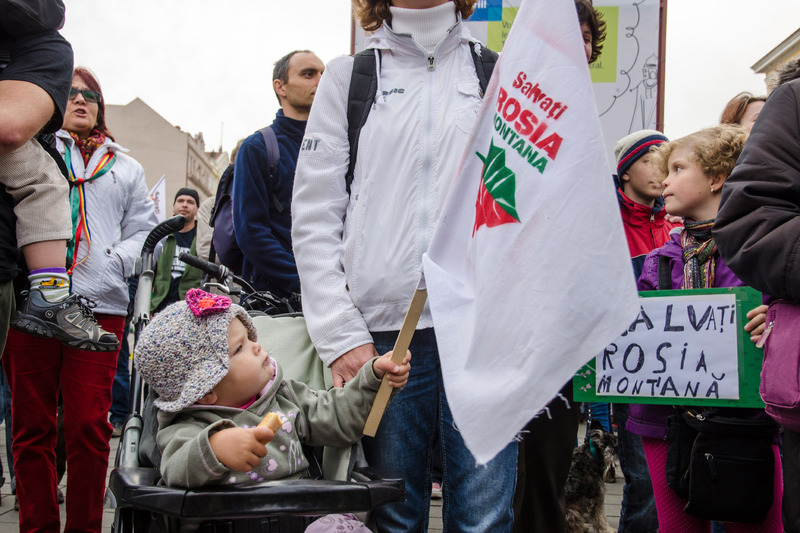 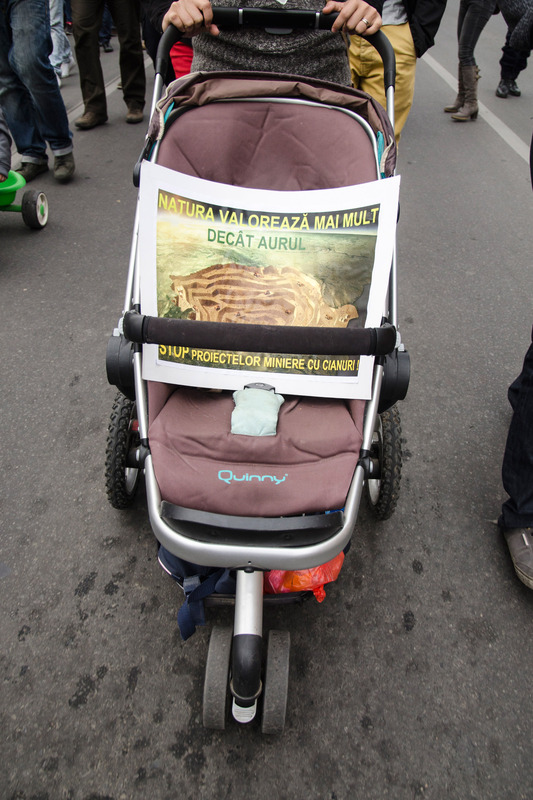 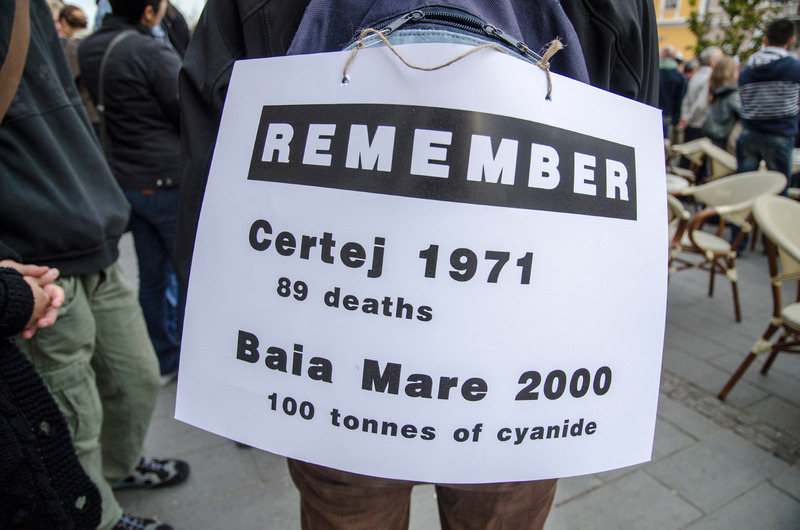 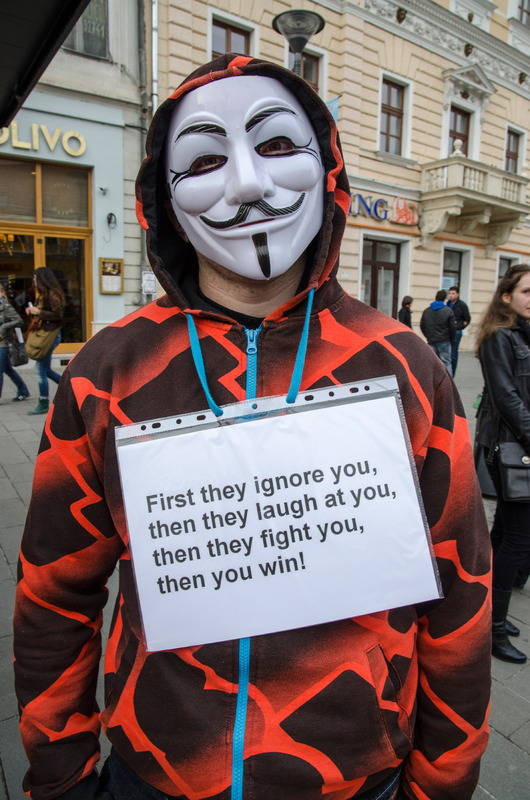 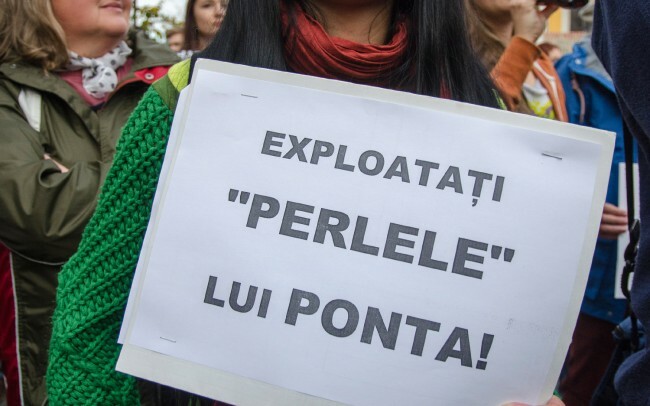 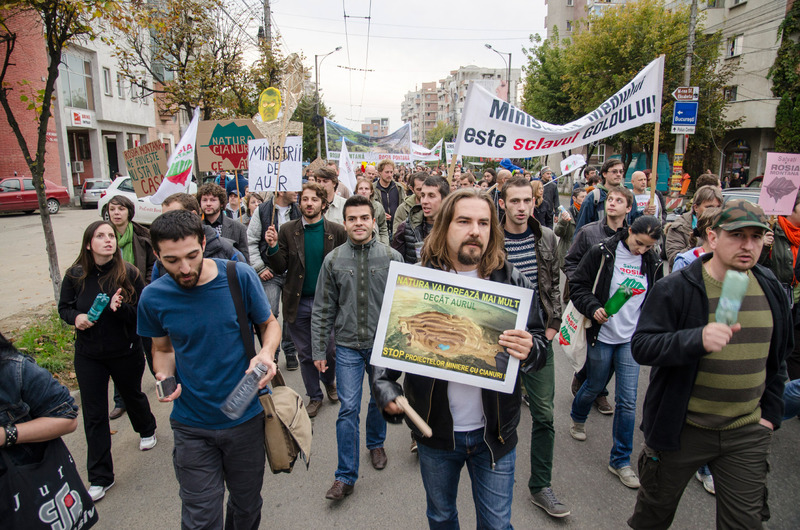 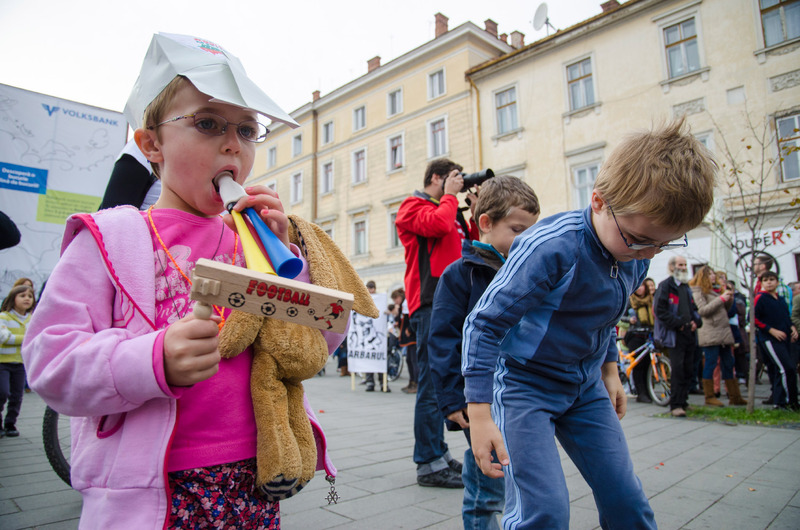 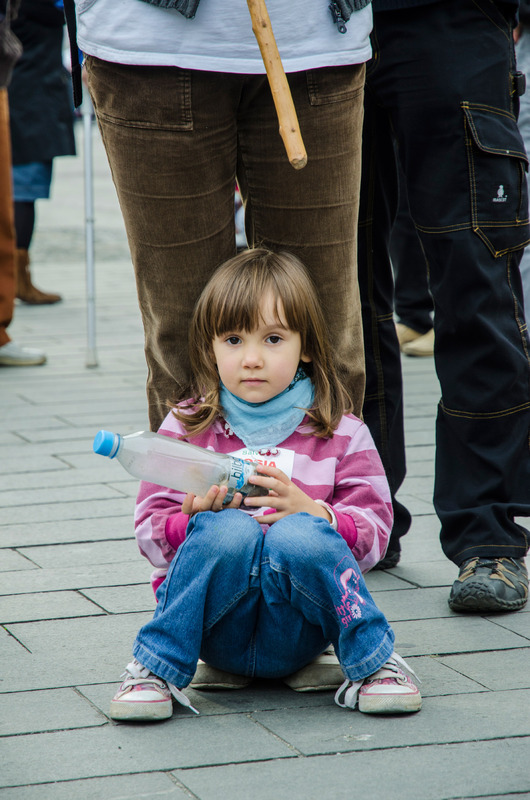 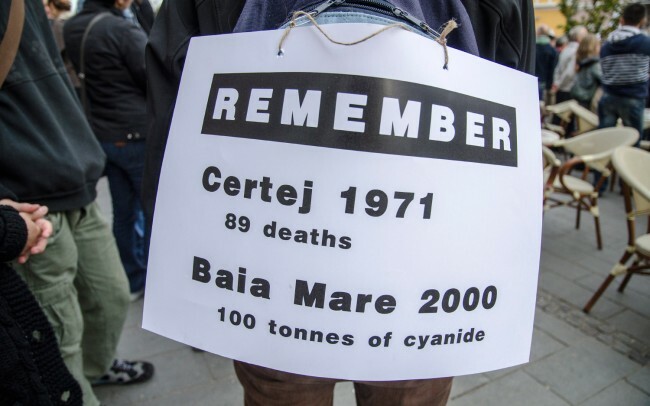 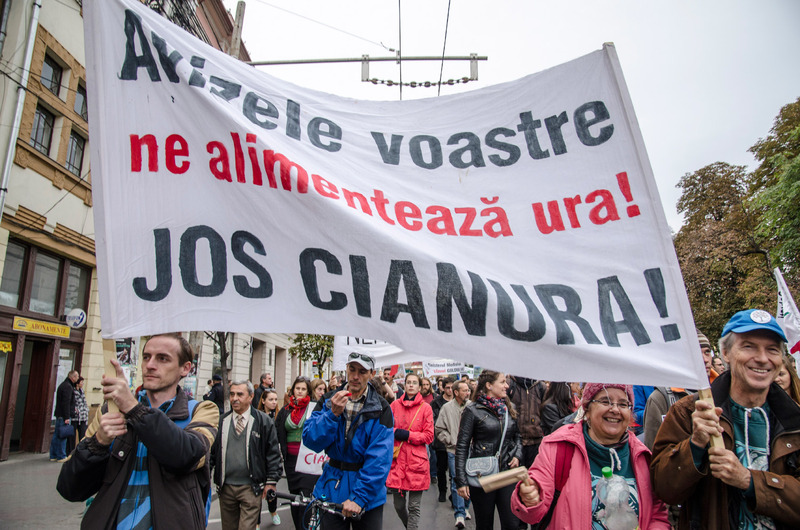 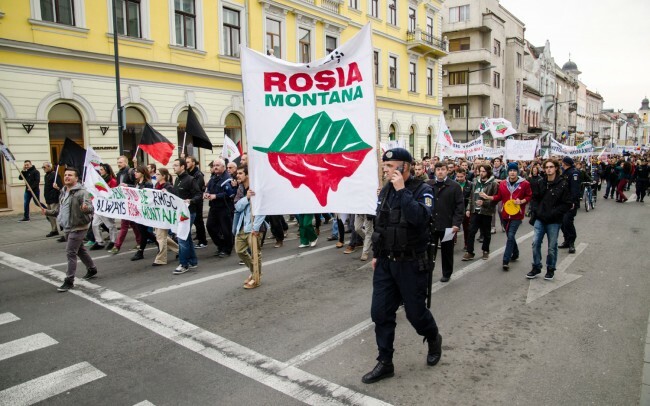 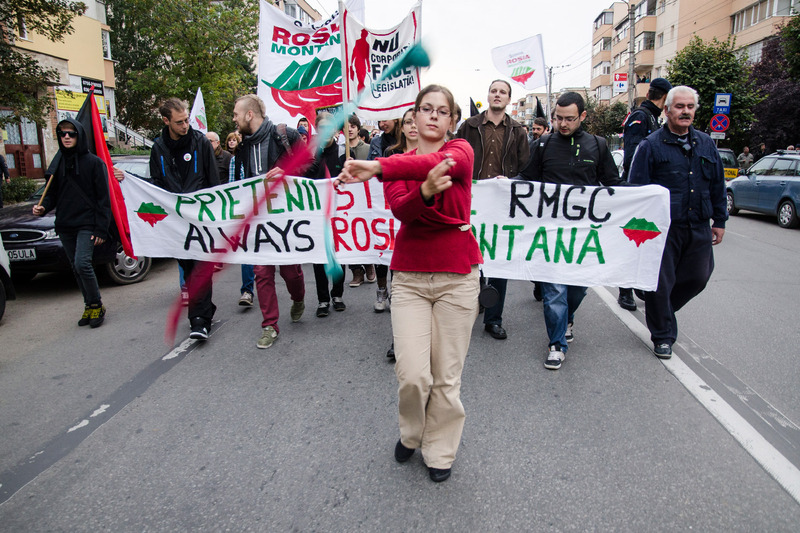 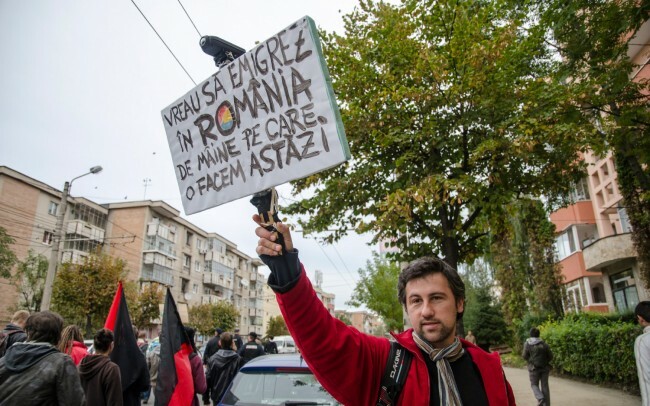 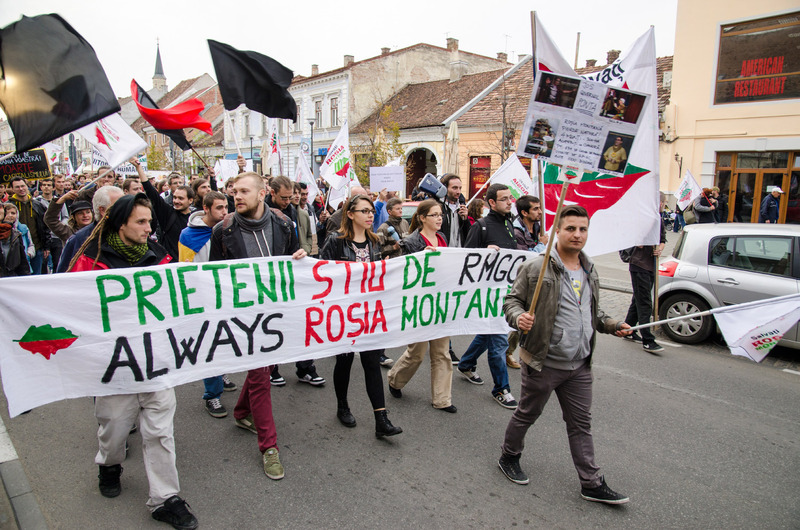 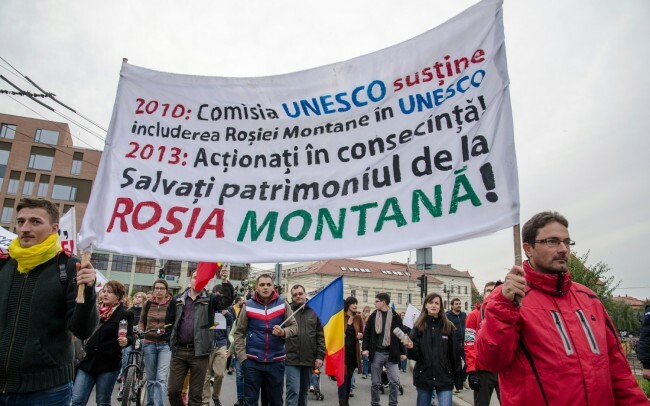 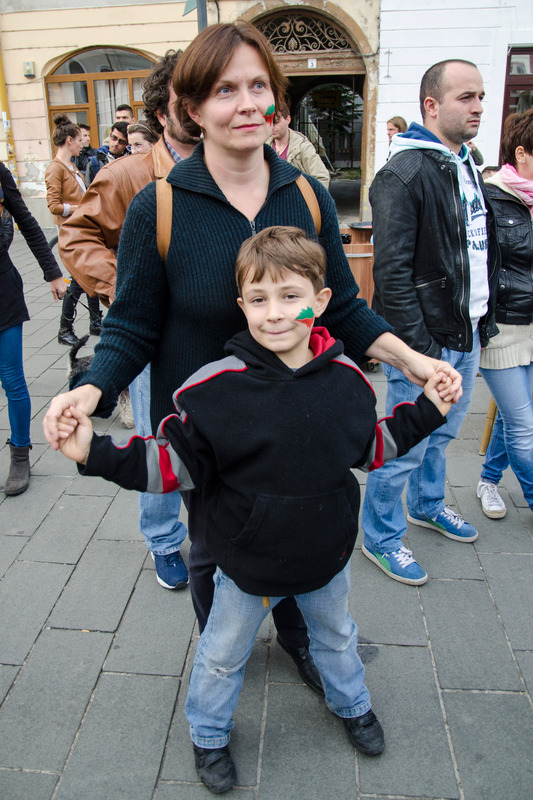 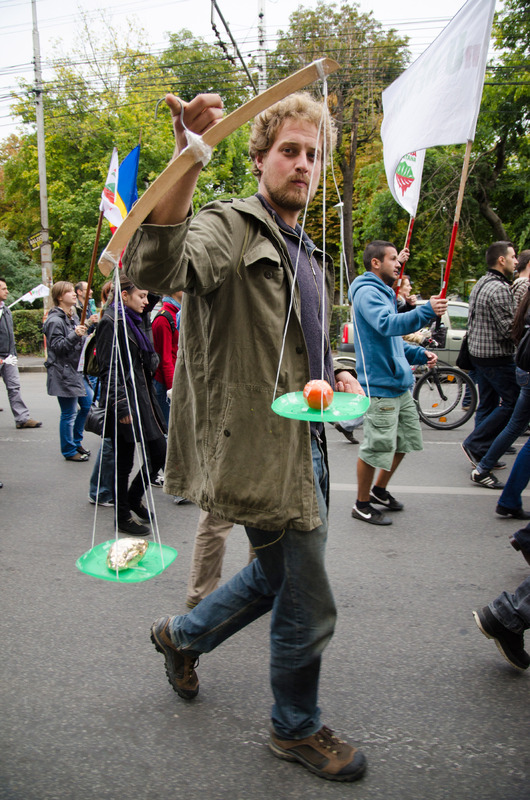 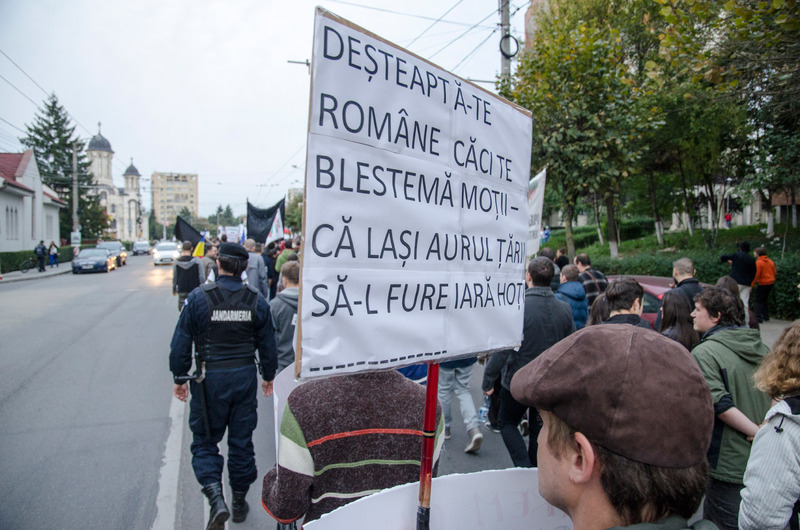 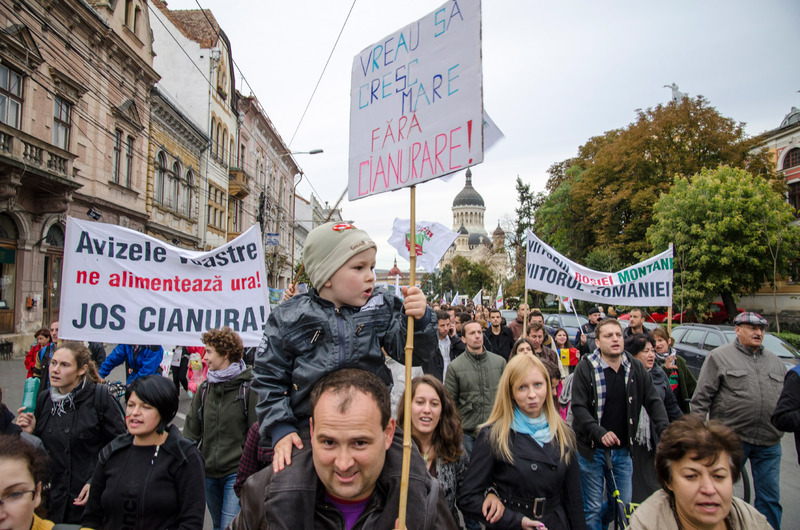 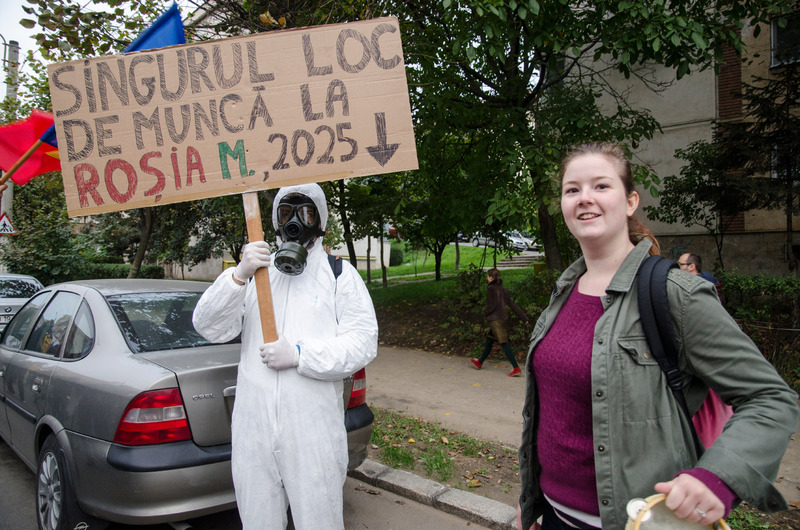 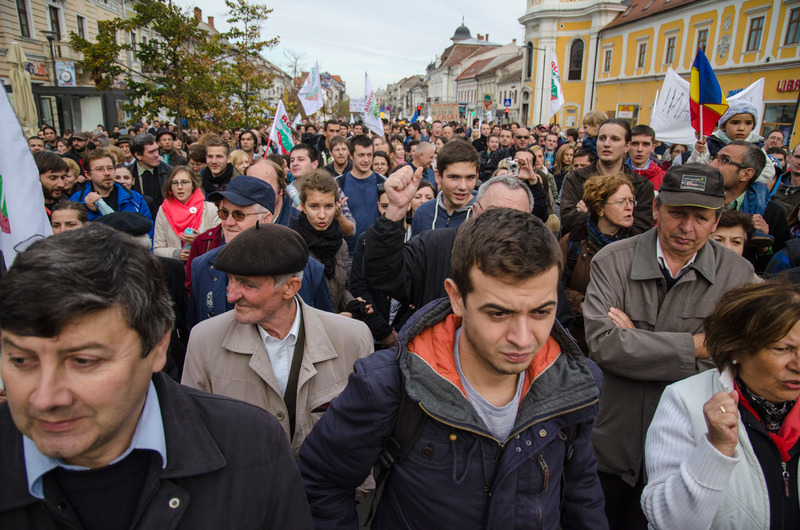 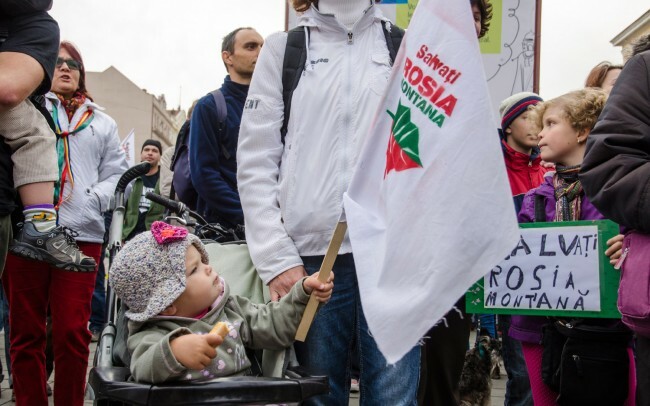 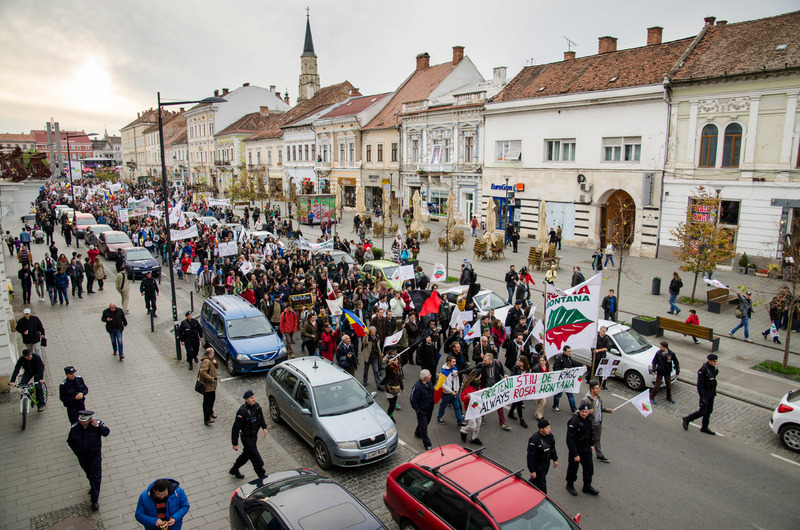 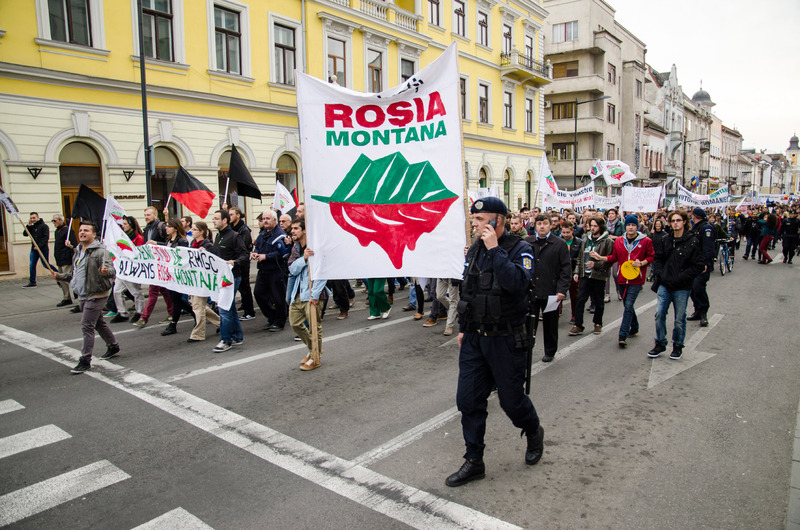 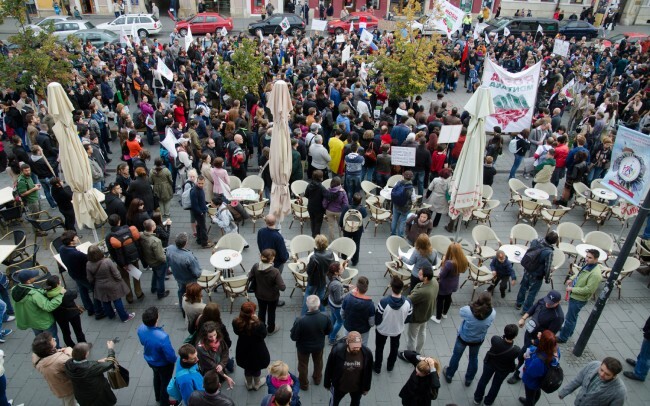 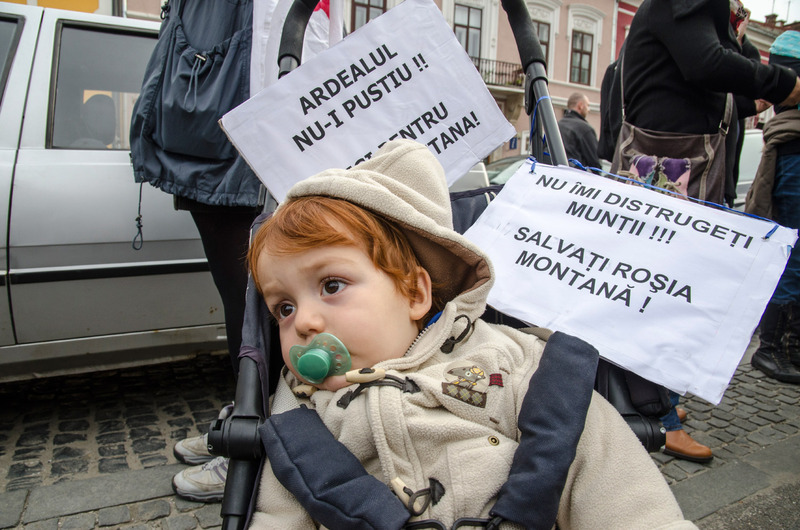 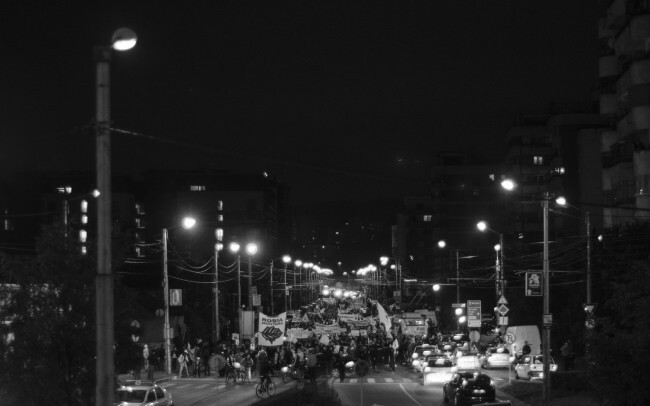 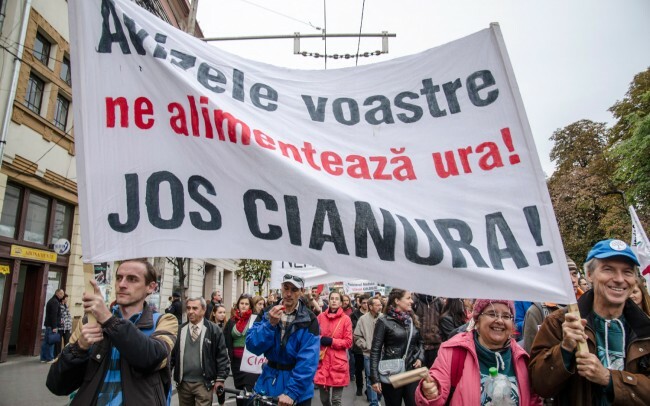 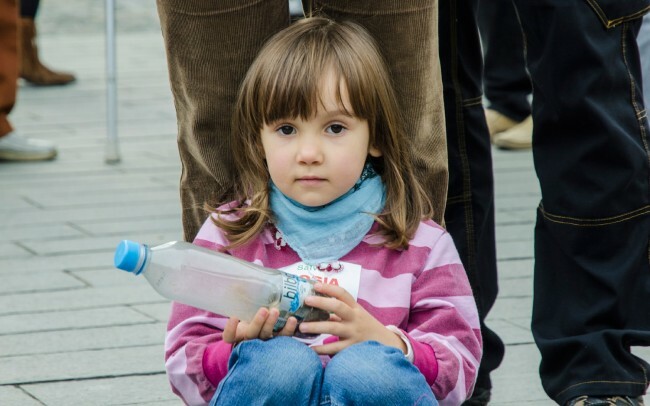 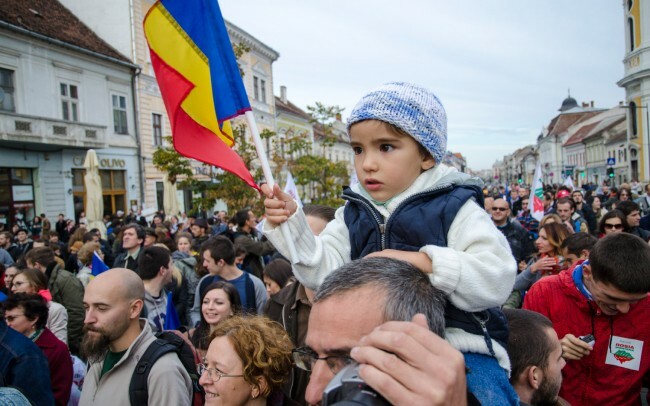 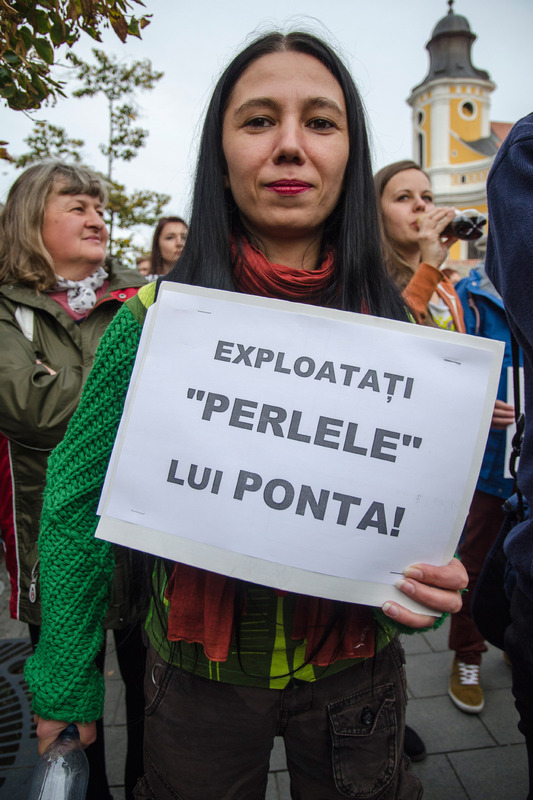 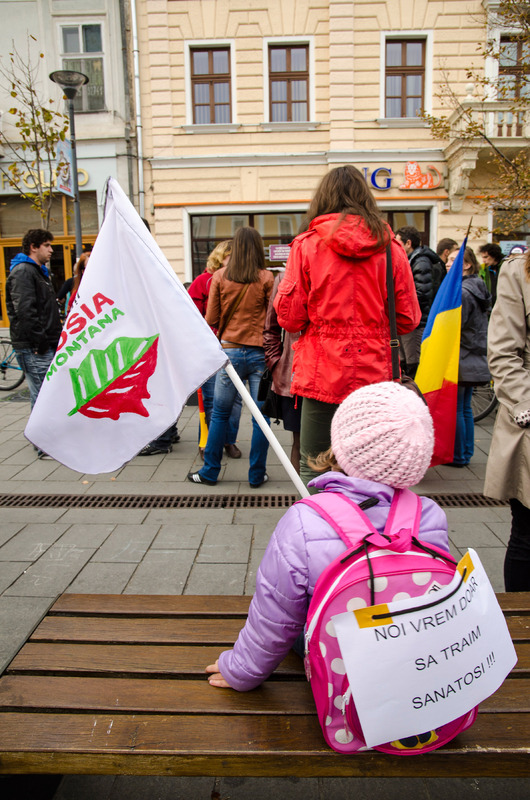 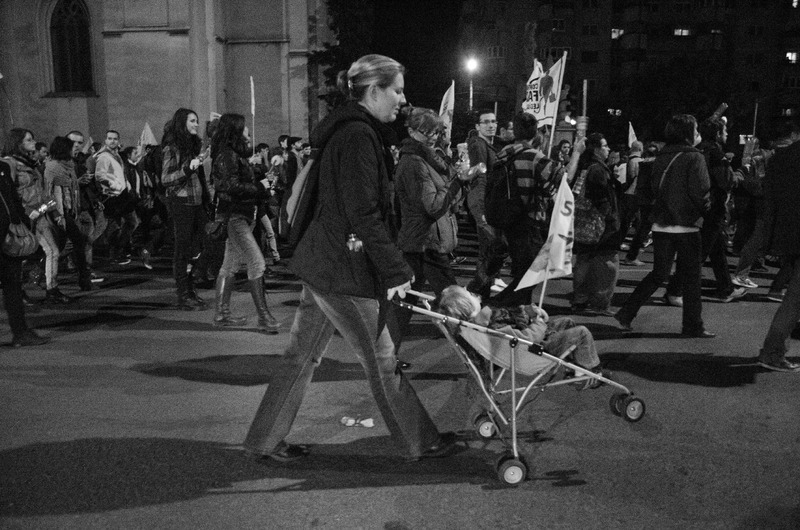 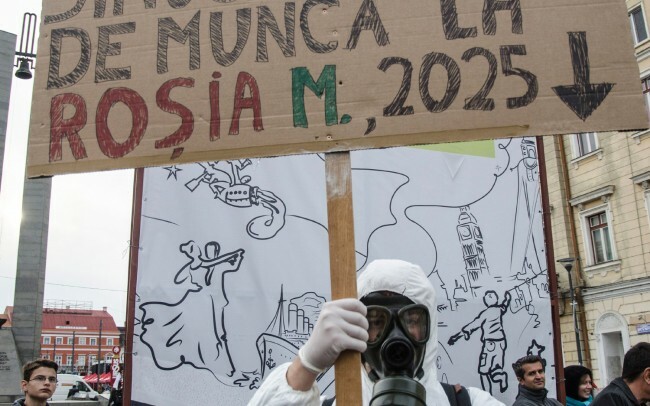 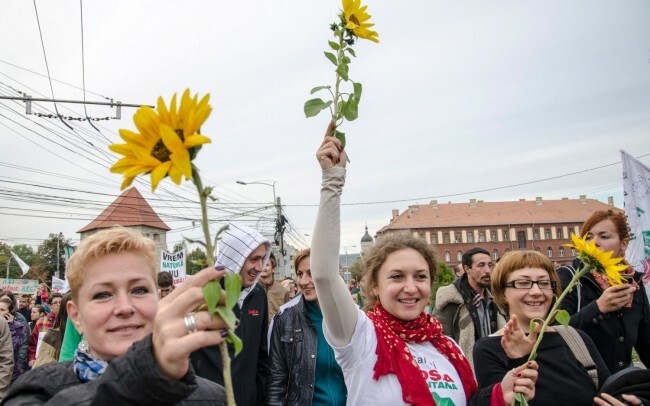 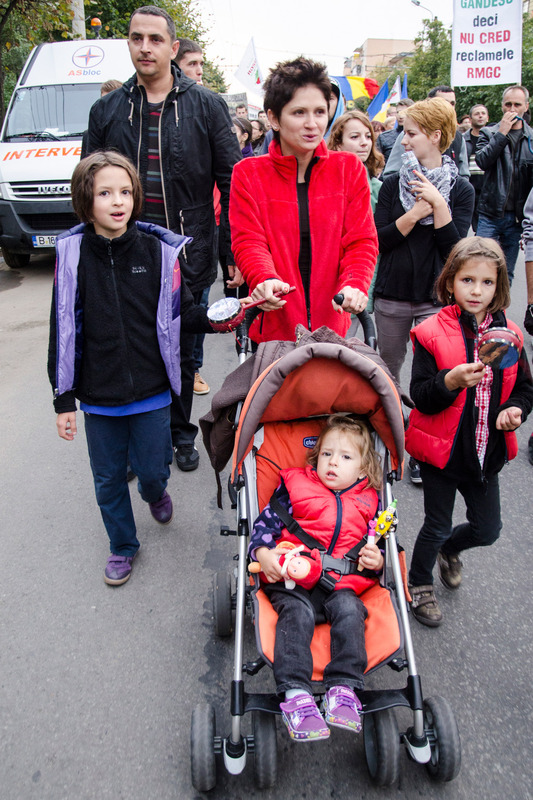 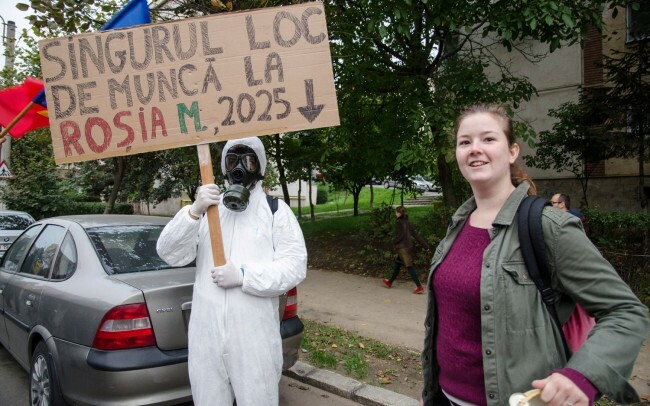 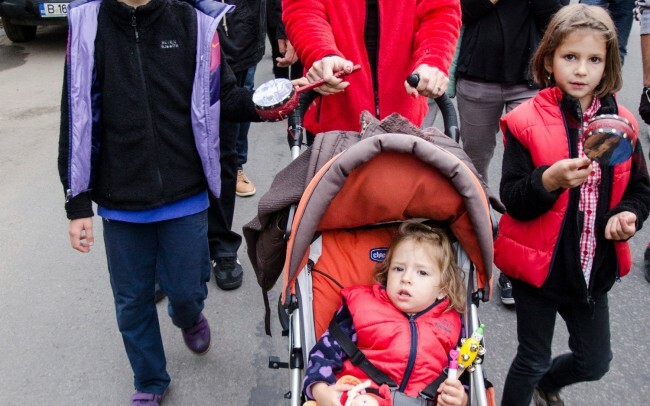 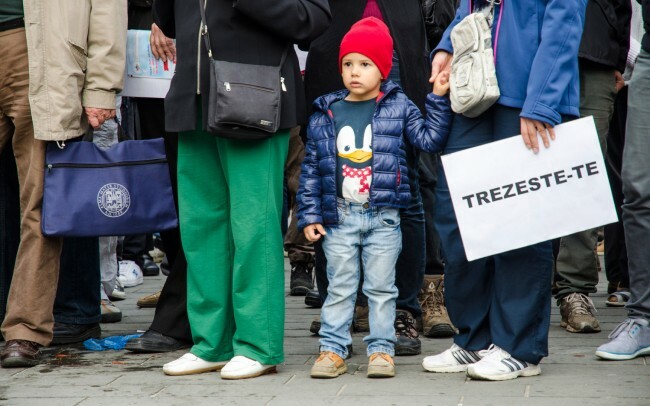 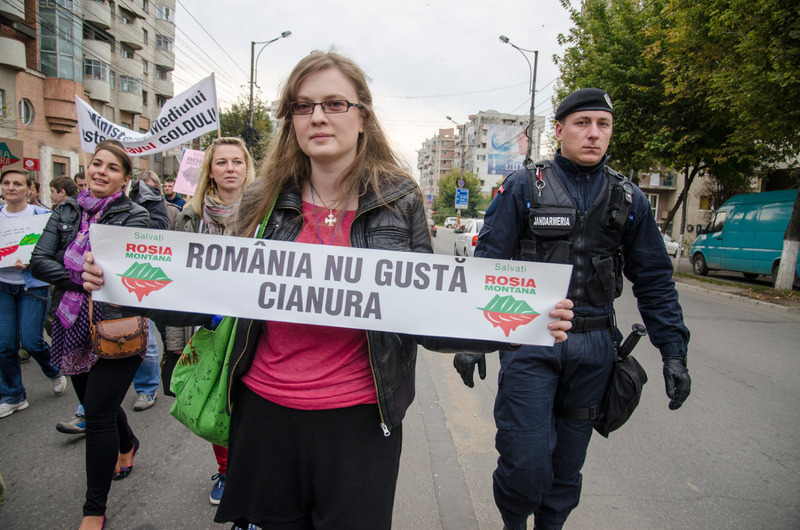 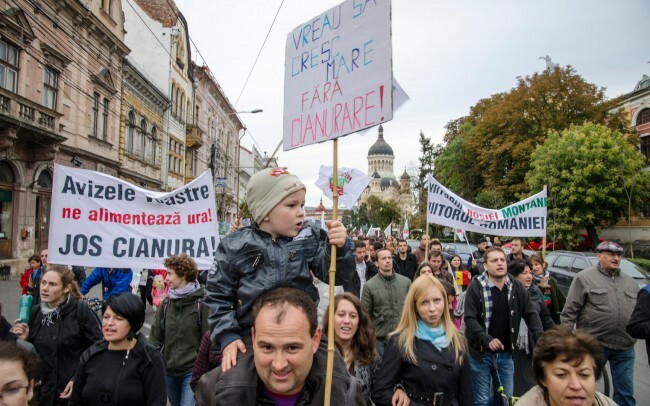 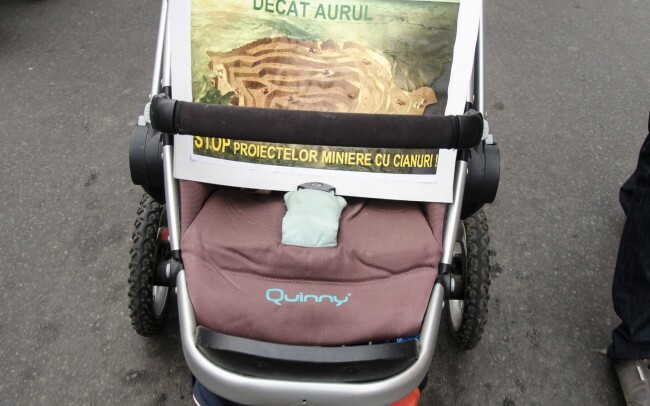 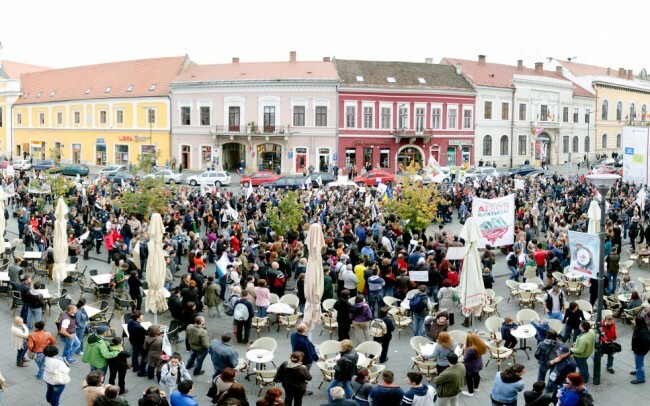 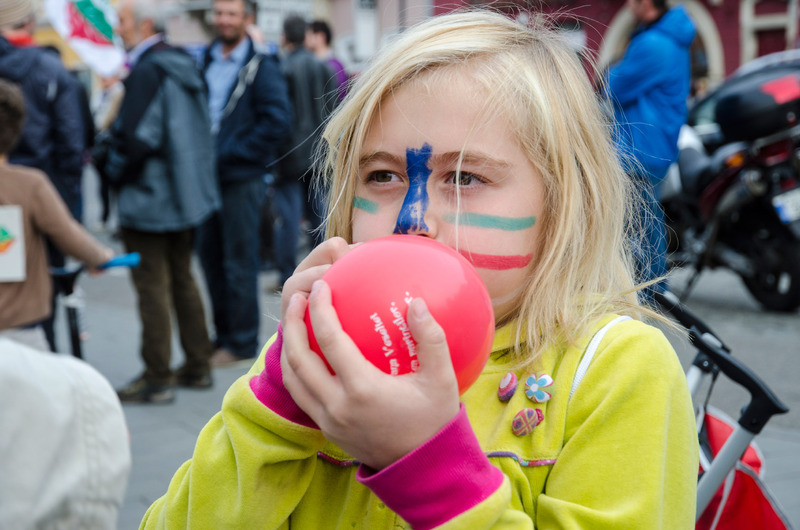 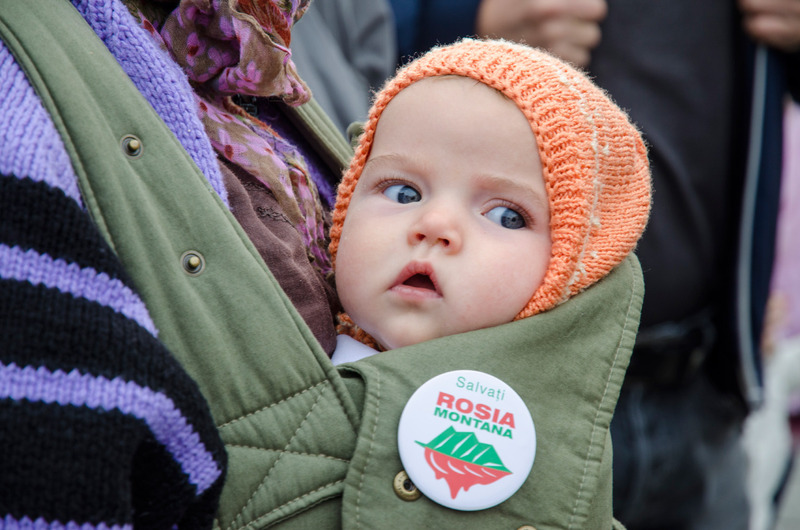 On the last Sunday of September 2013, the 29th, a huge protest against the Rosia Montana cyanide mining project took place in Cluj-Napoca. 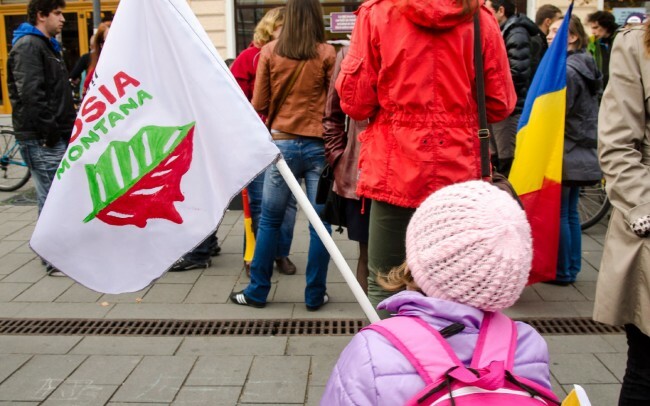 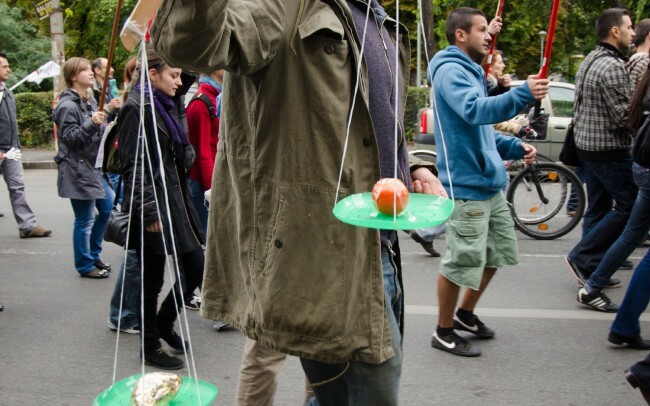 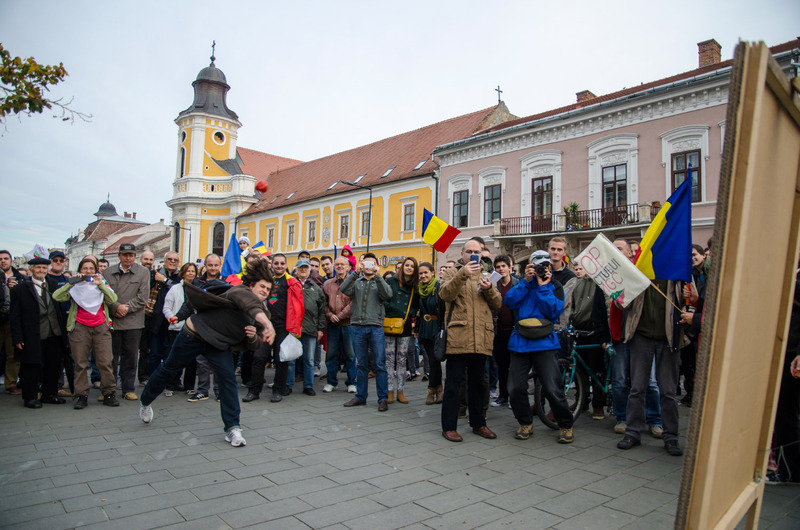 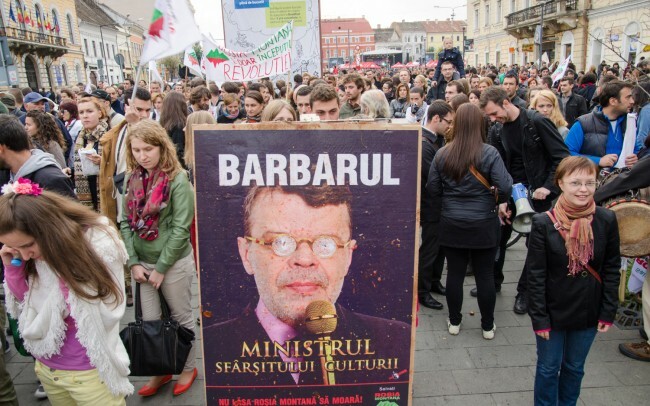 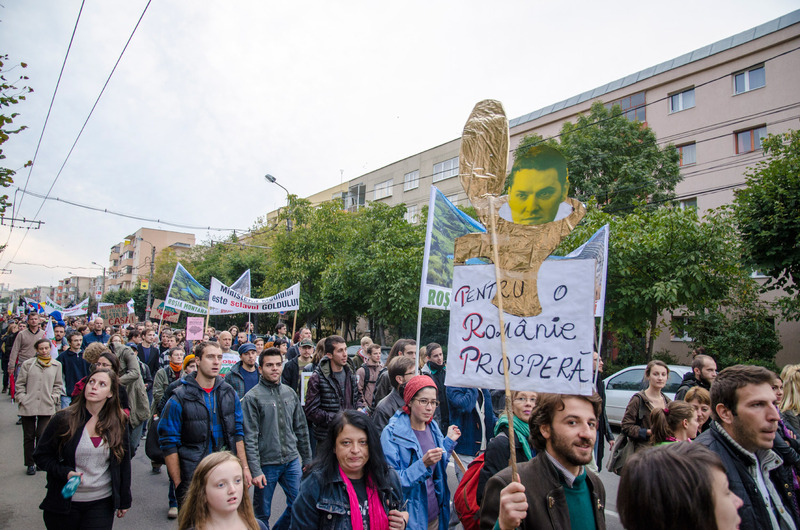 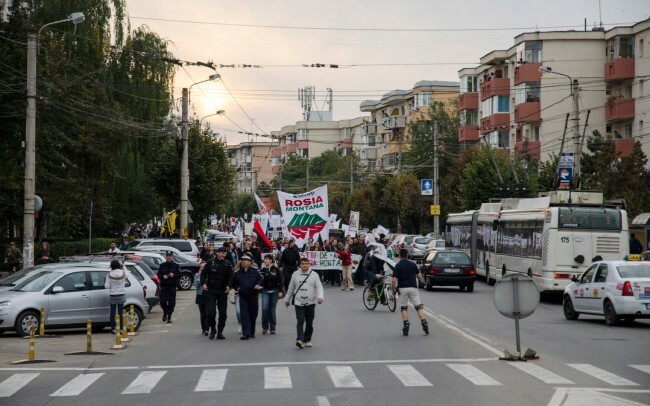 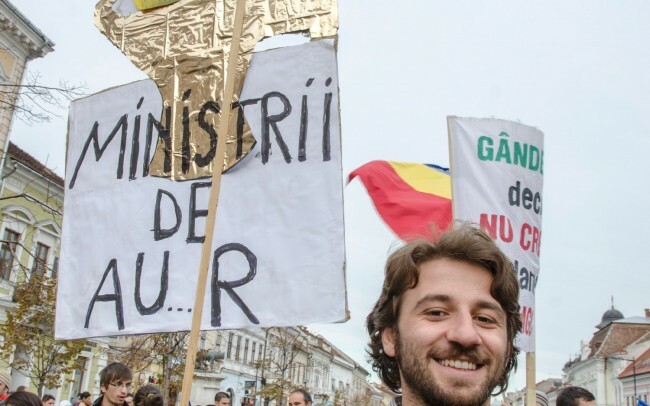 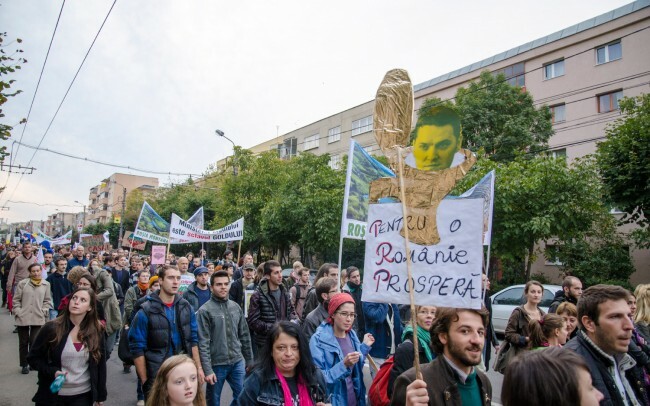 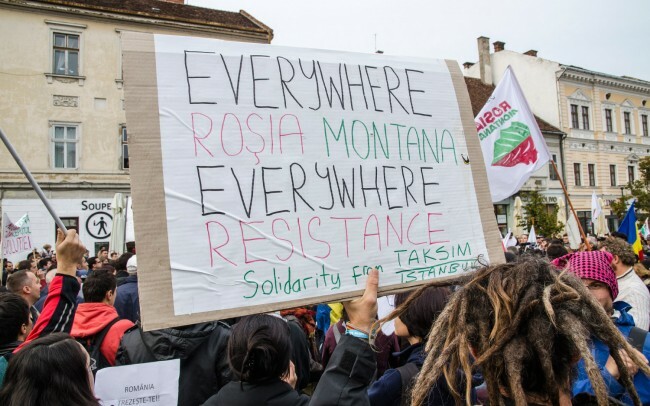 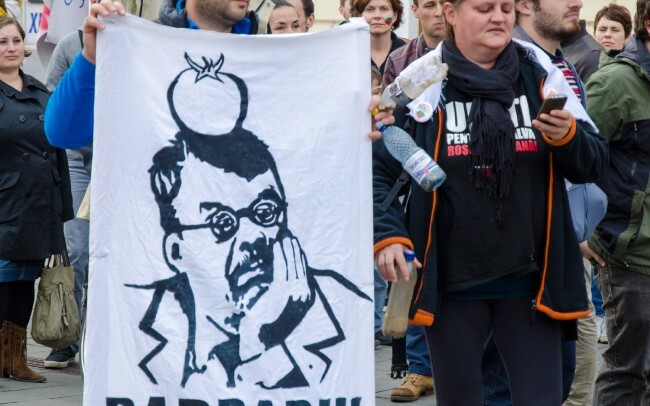 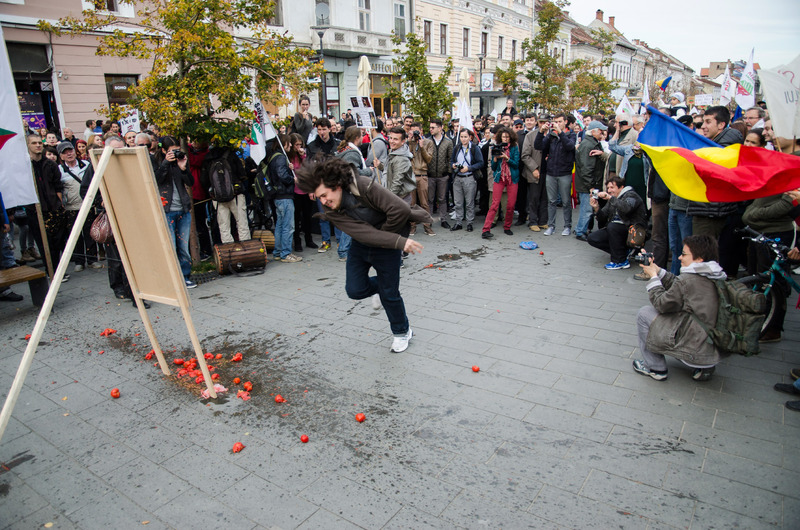 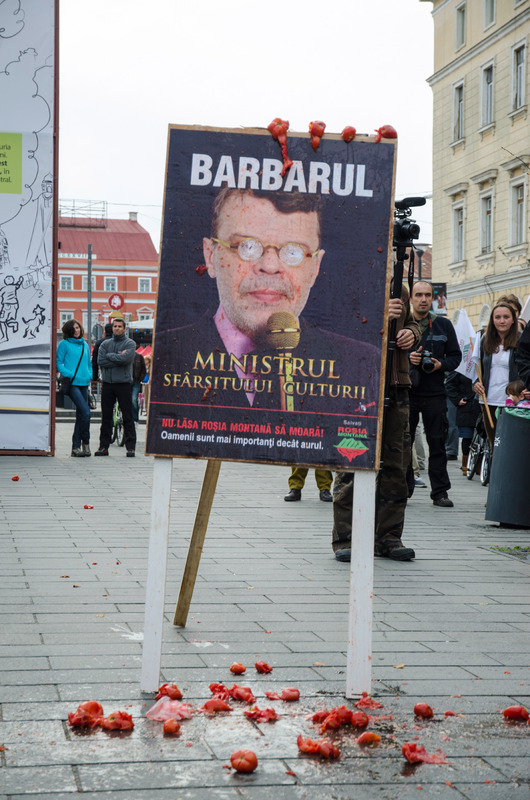 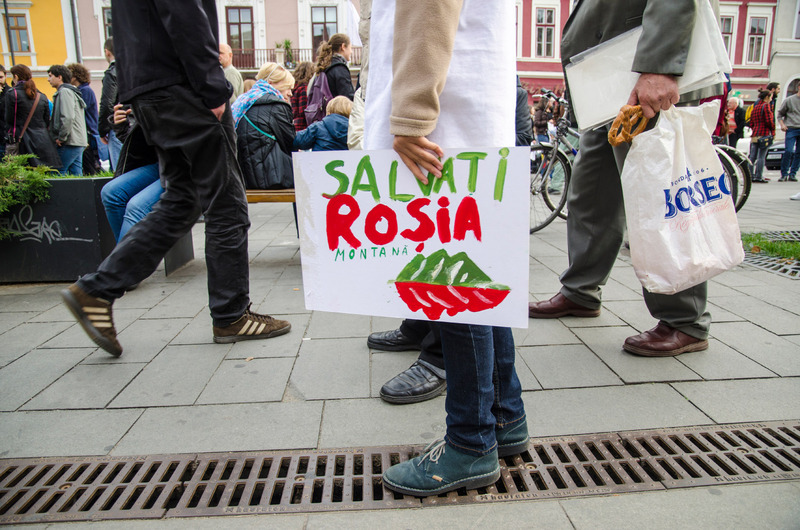 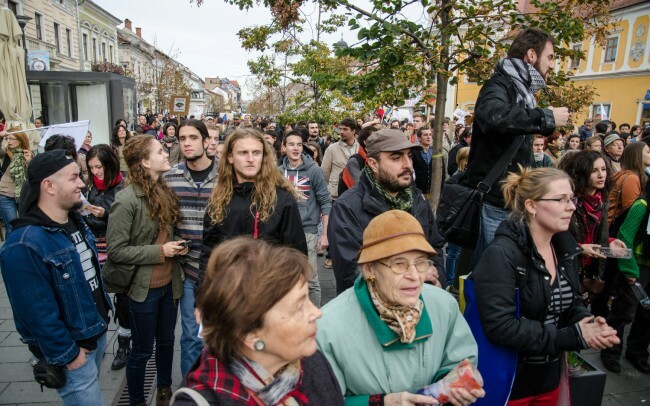 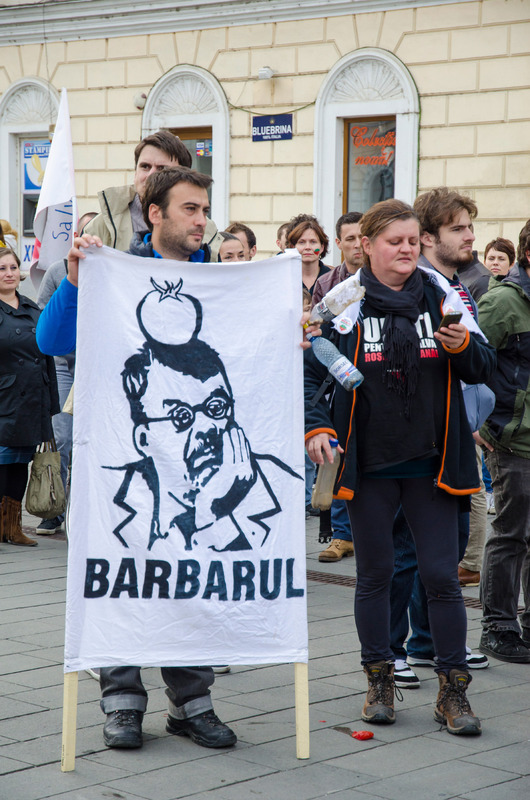 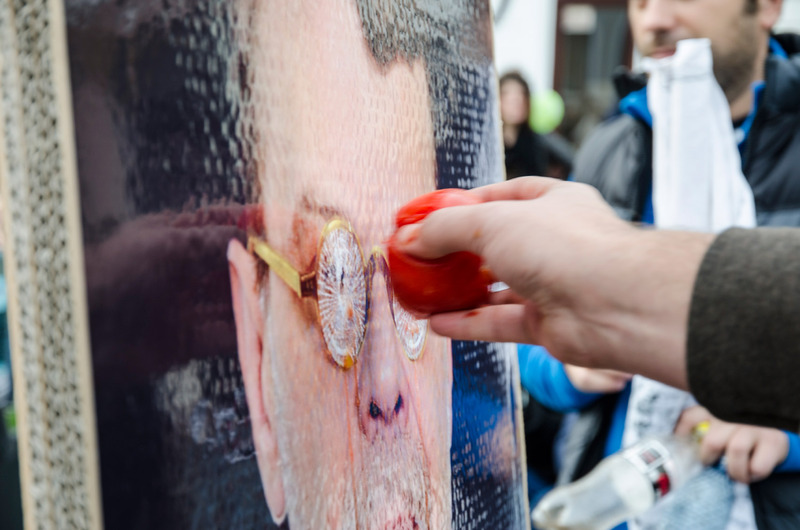 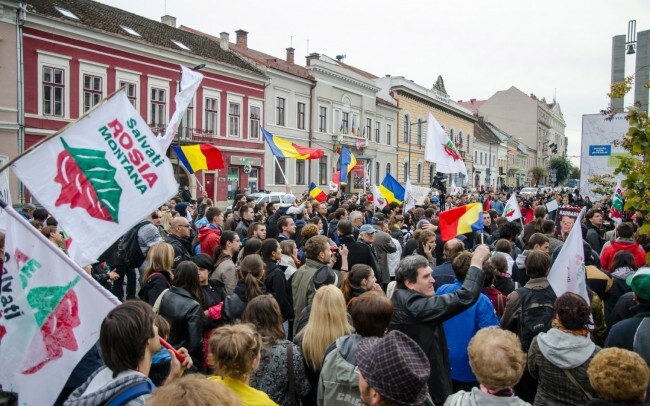 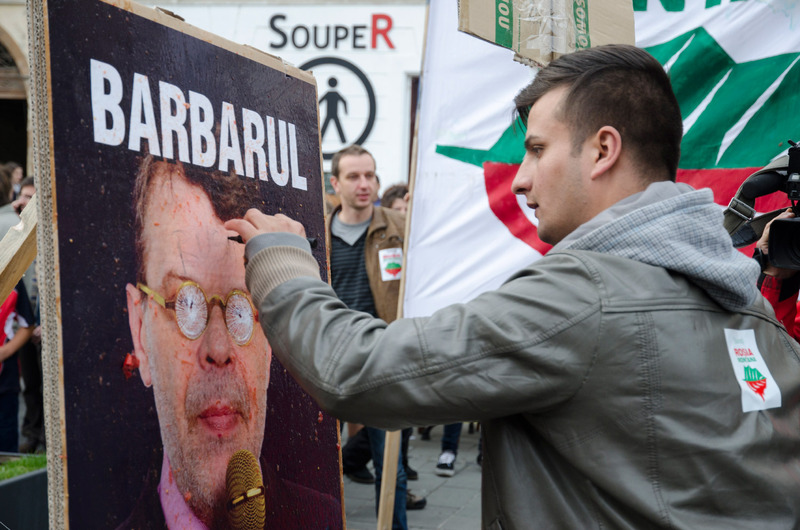 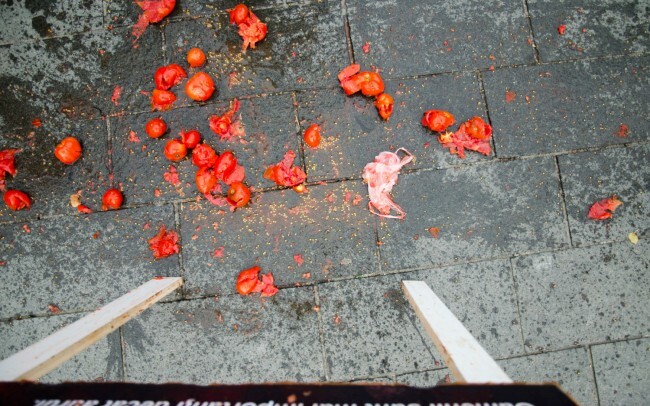 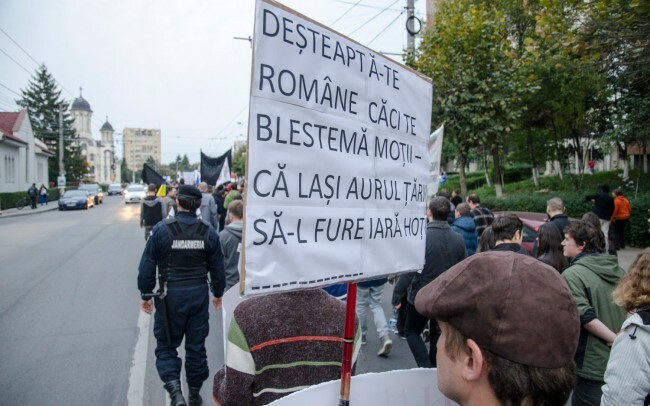 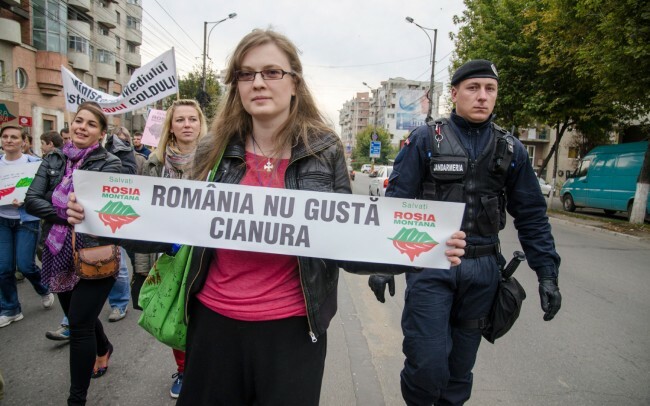 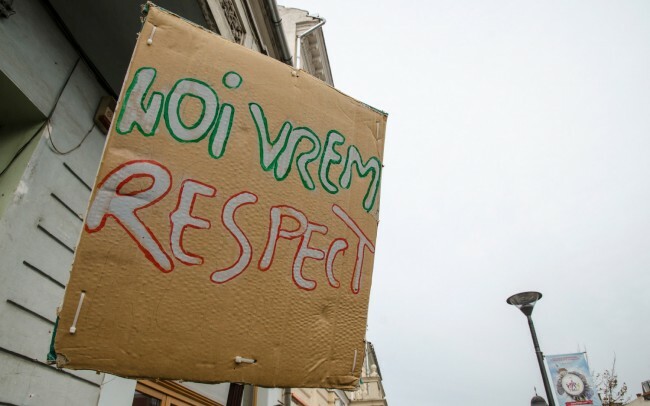 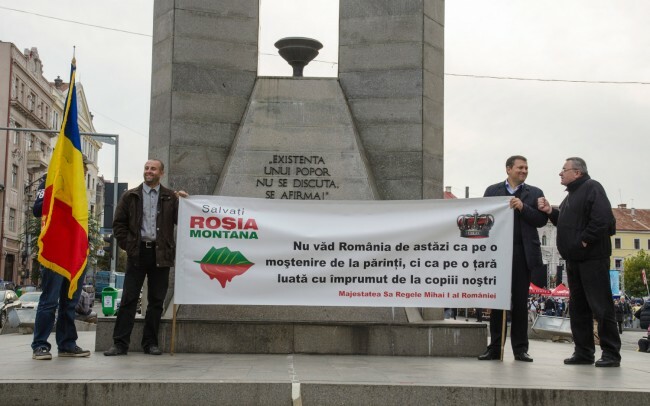 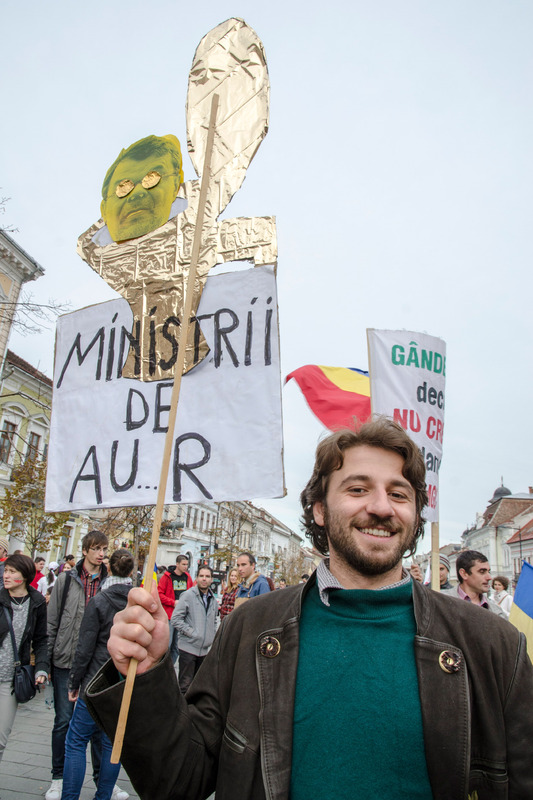 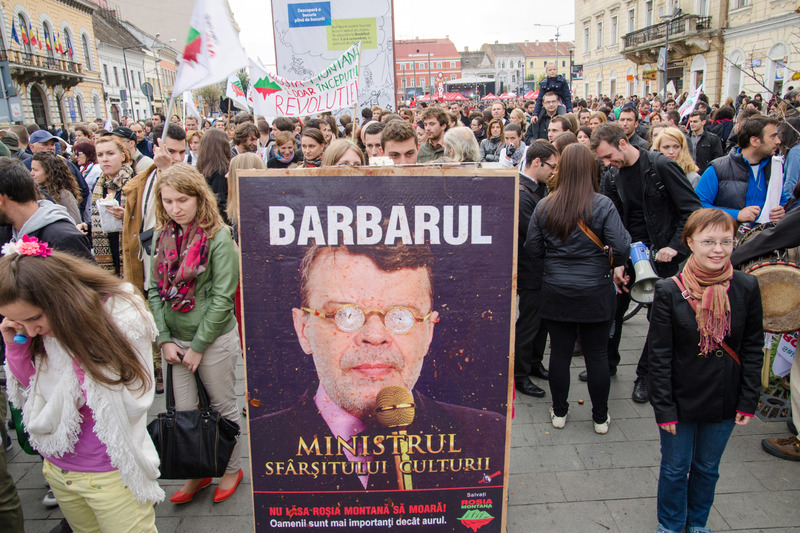 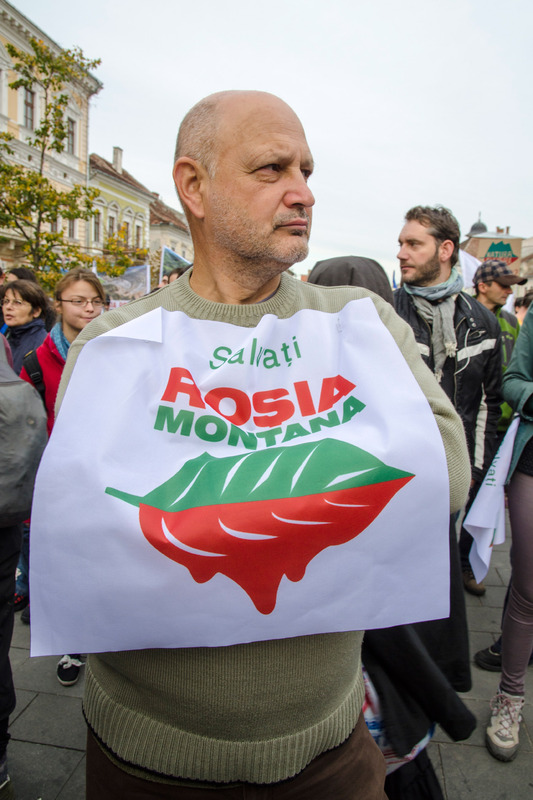 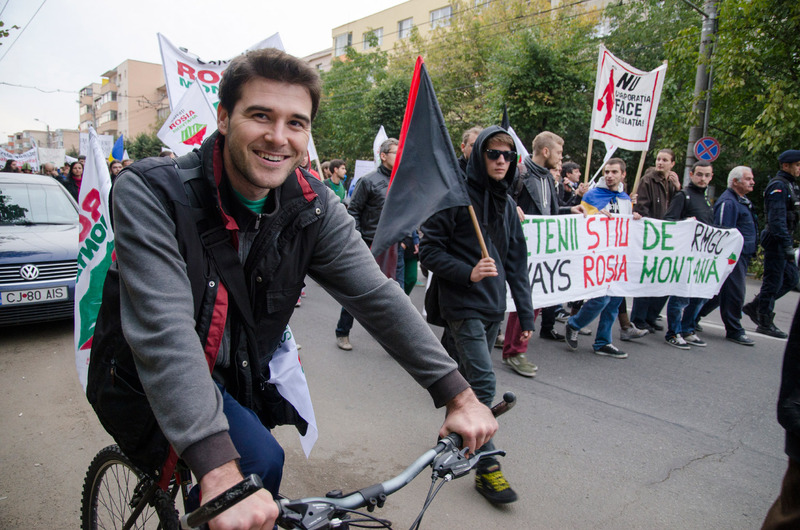 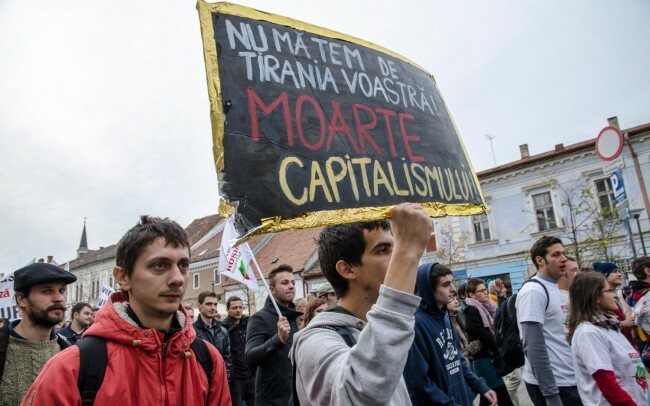 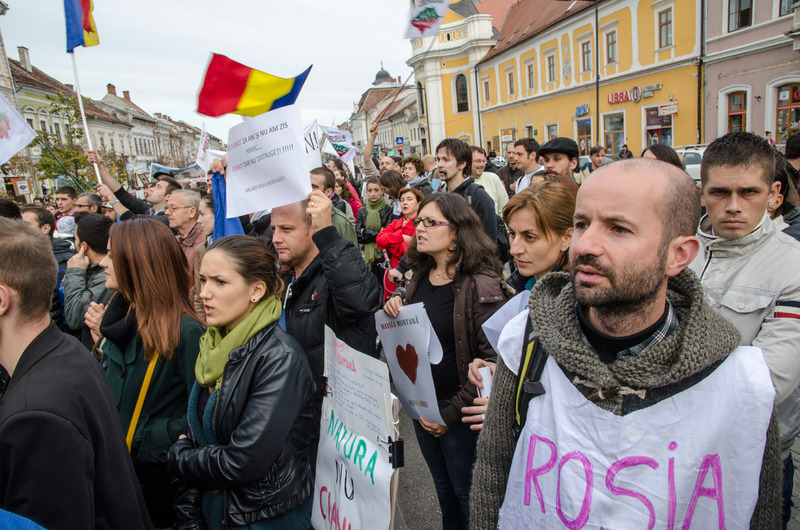 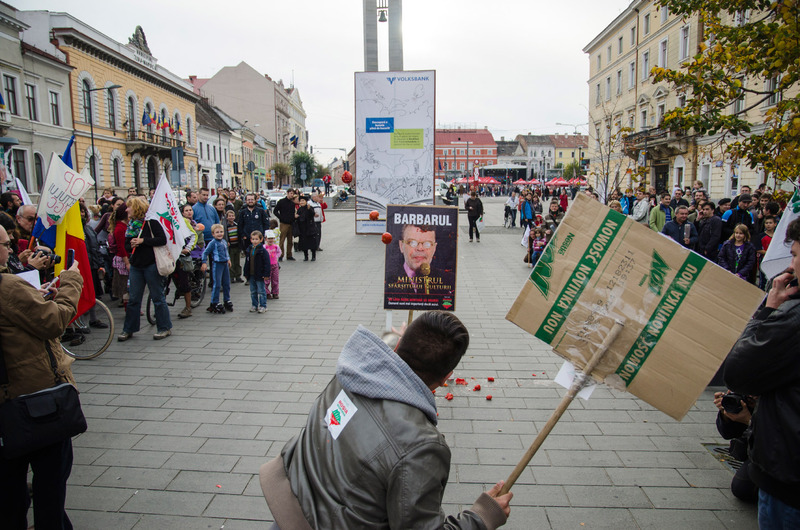 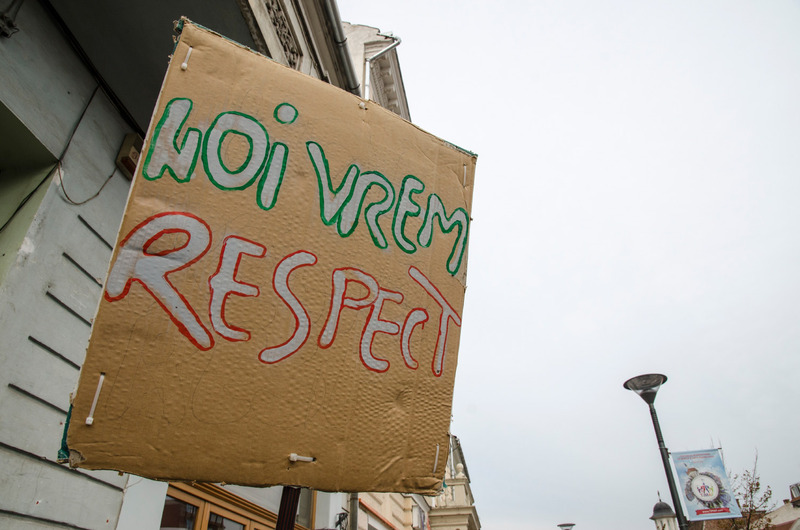 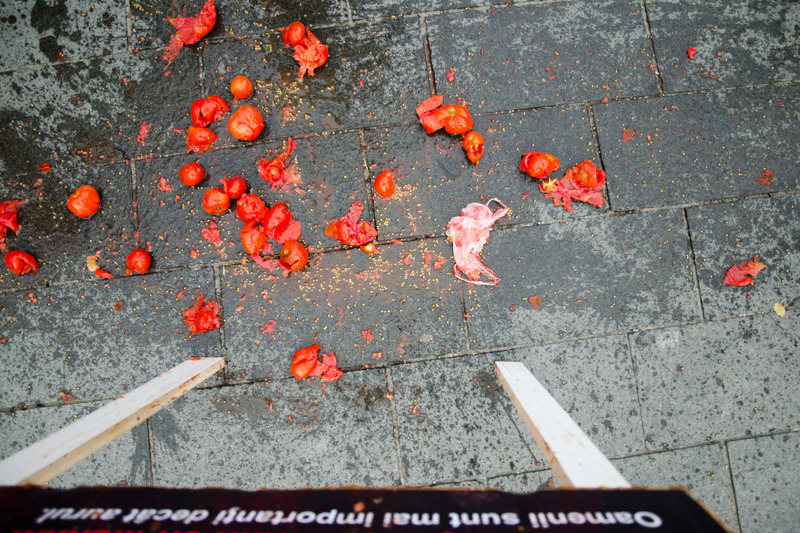 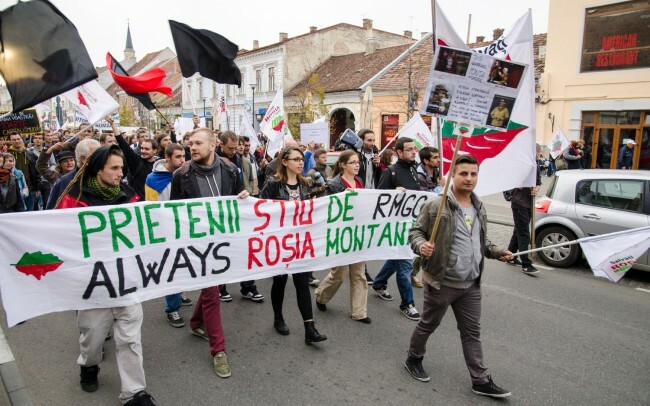 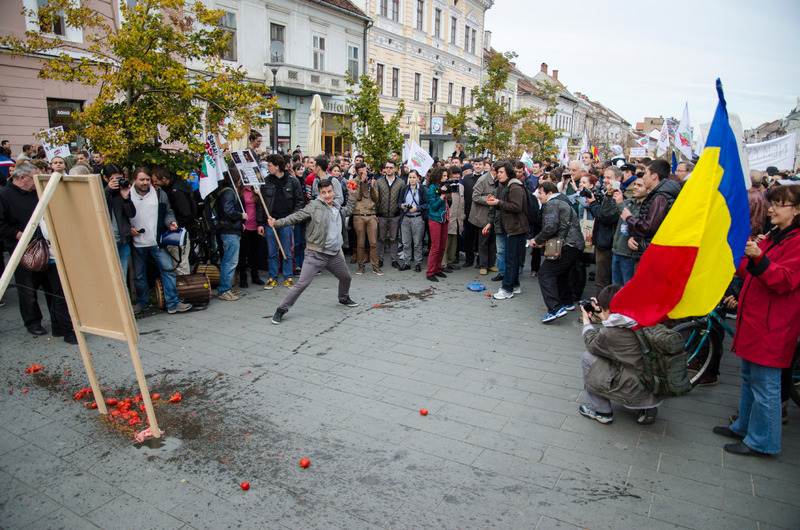 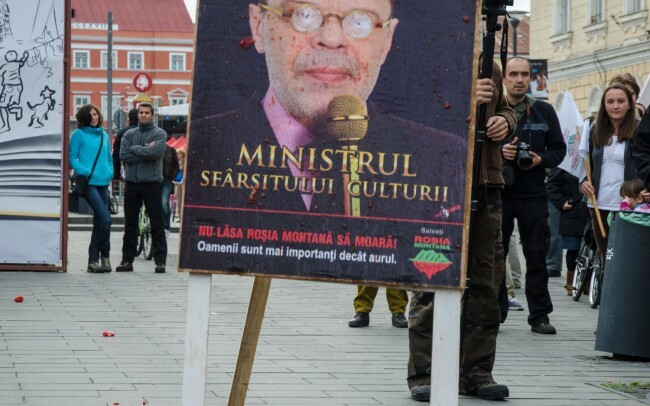 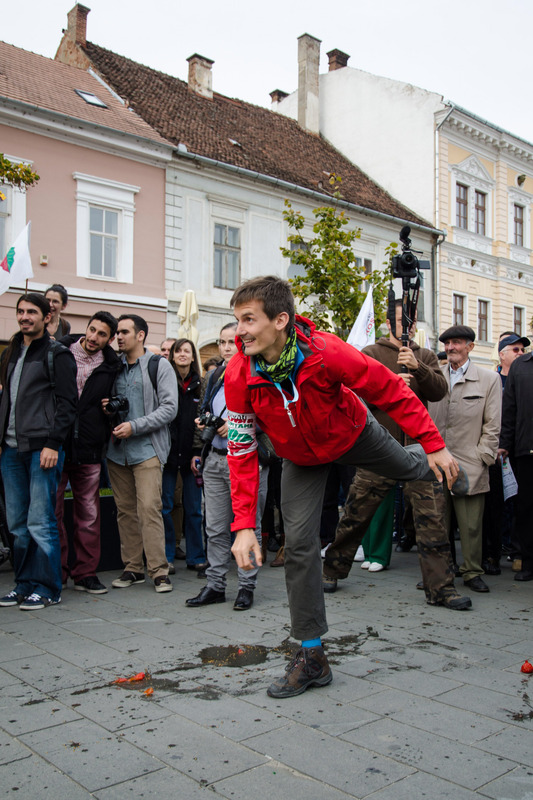 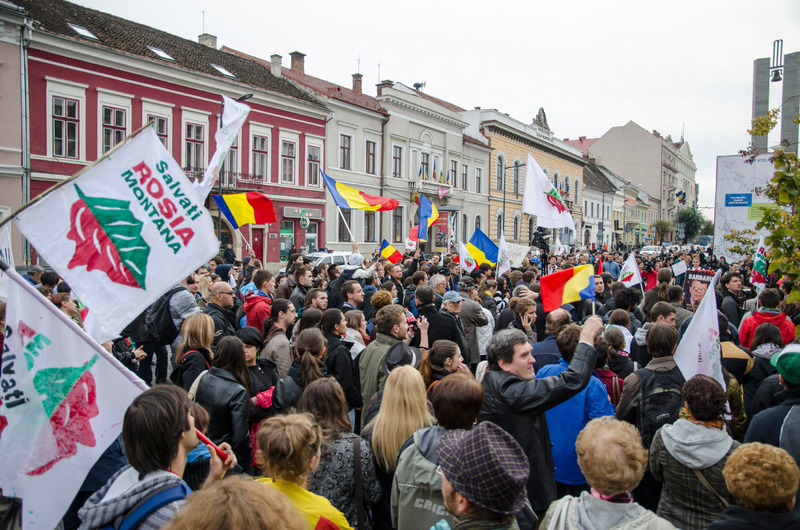 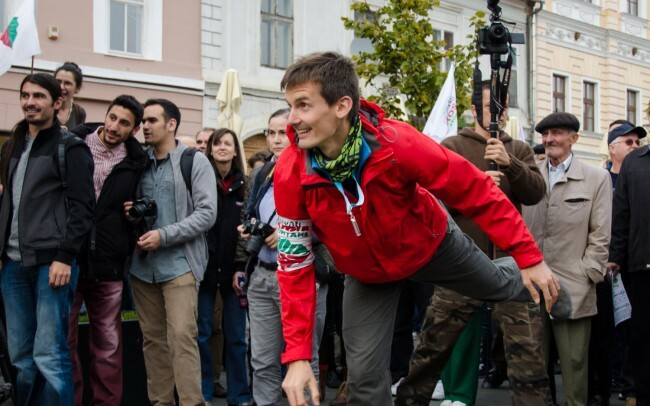 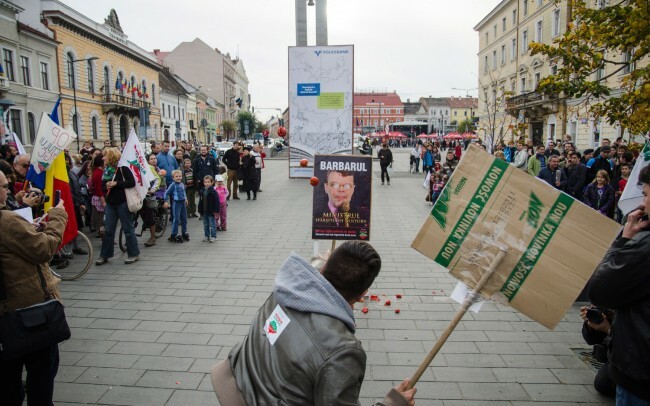 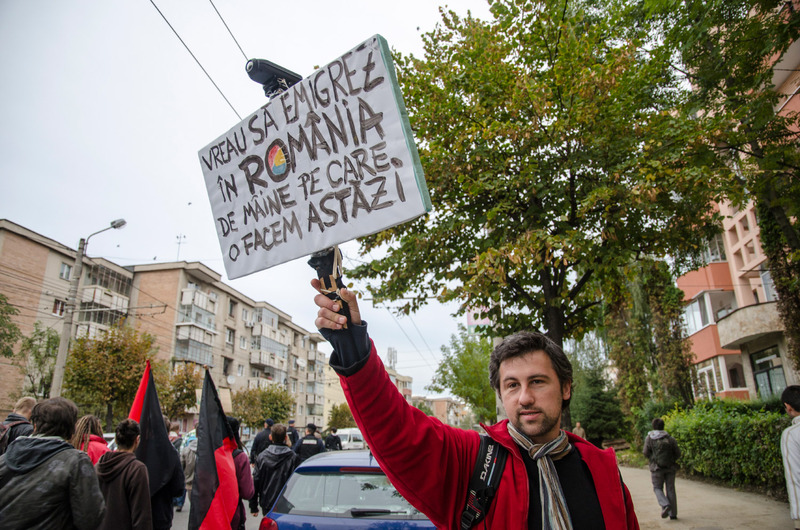 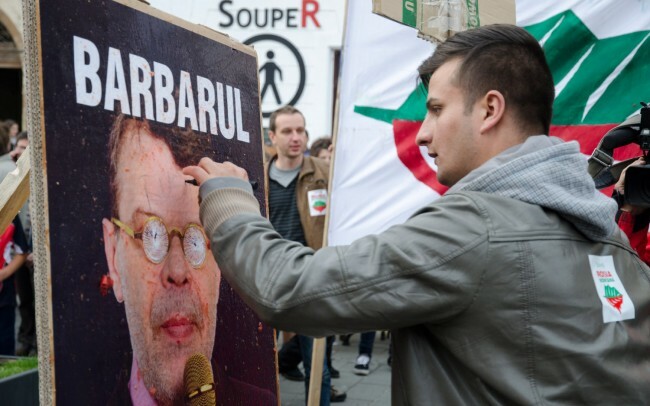 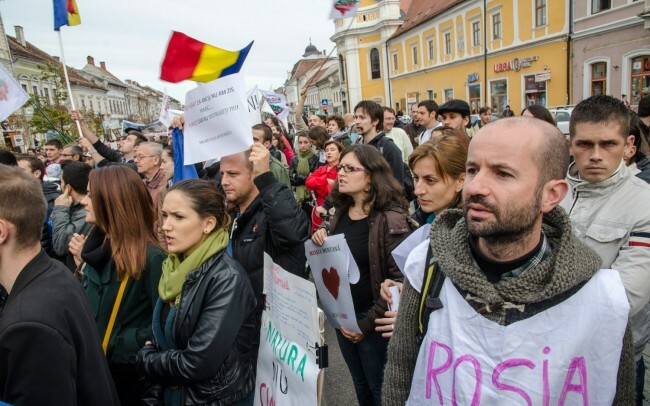 People gathered at 5 pm on Eroilor Boulevard near the Union Square where they threw tomatoes on a placard with Daniel Barbu’s face, the minister of culture and chanted once again “United we save Rosia Montana”. 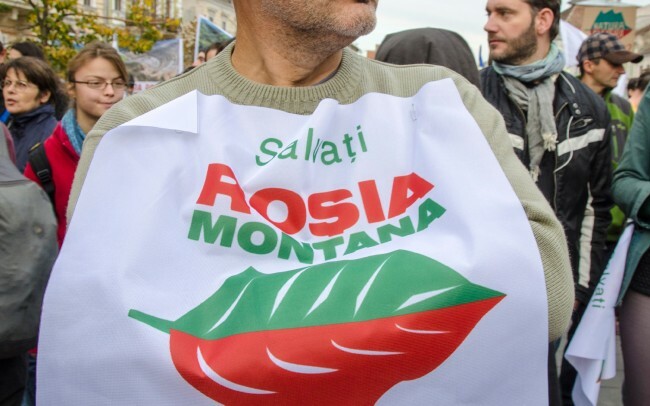 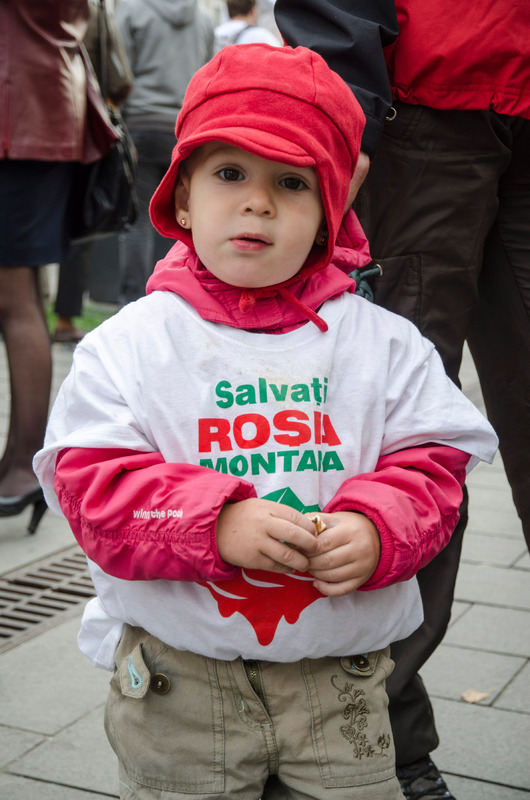 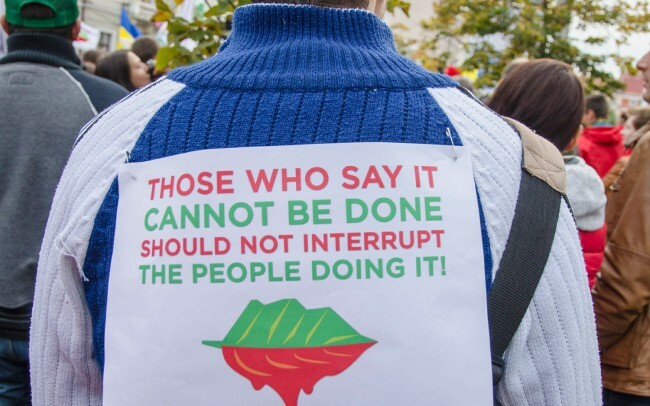 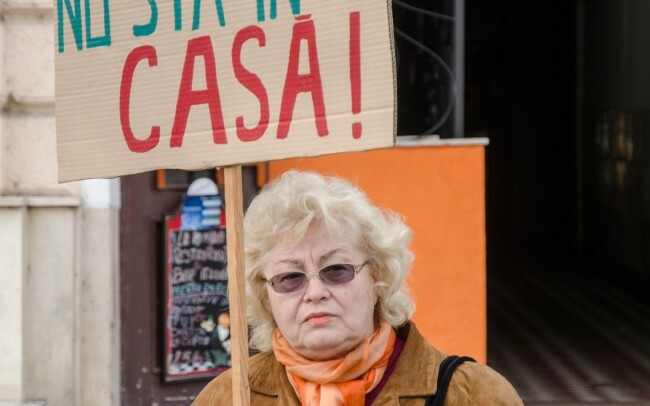 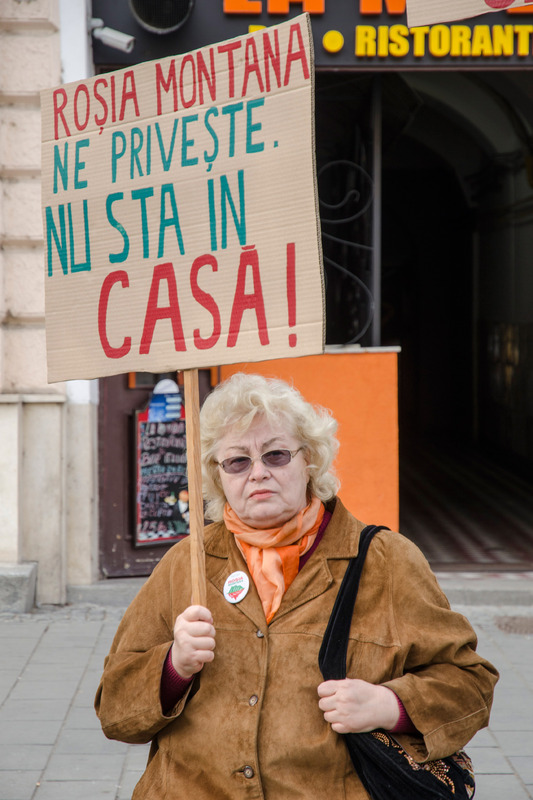 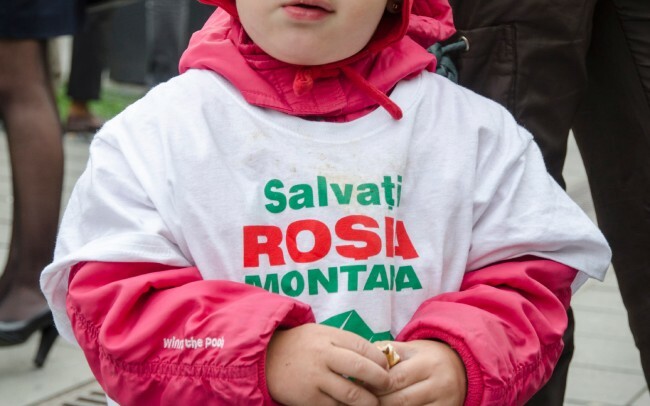 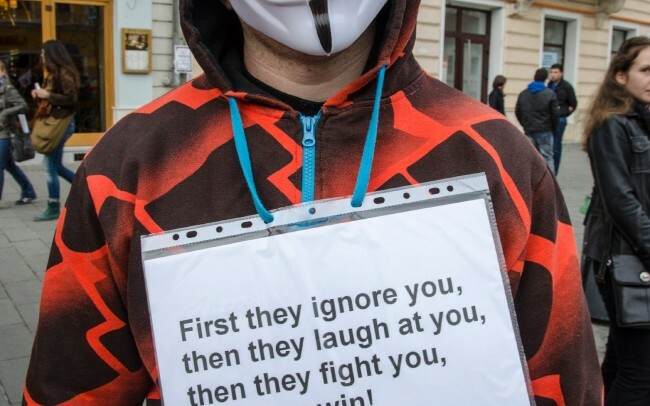 People held speeches about how important it is for the project not to start and came with placards which said “Rosia Montana is watching us. 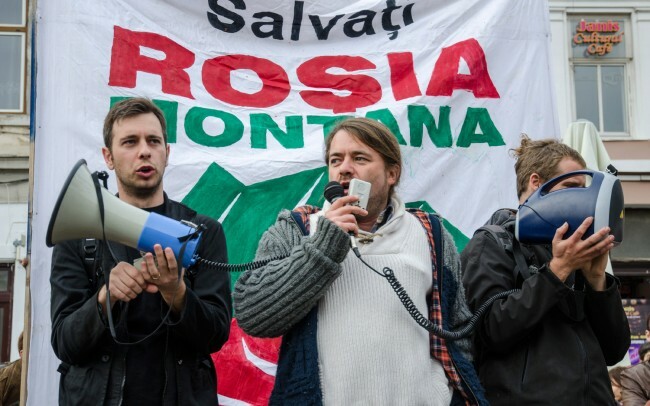 Don’t stay inside.”, “Don’t destroy my mountains”, “We just want to live healthy”. 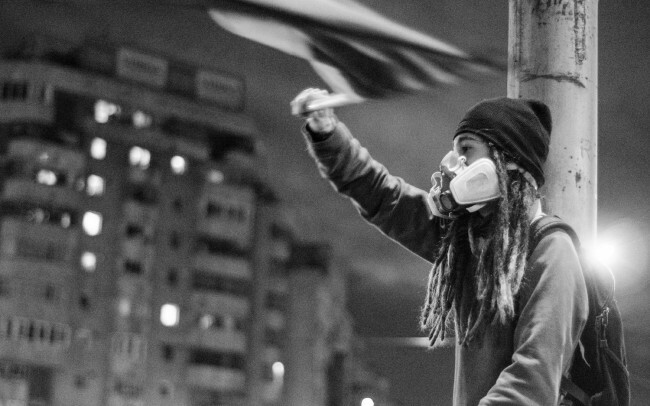 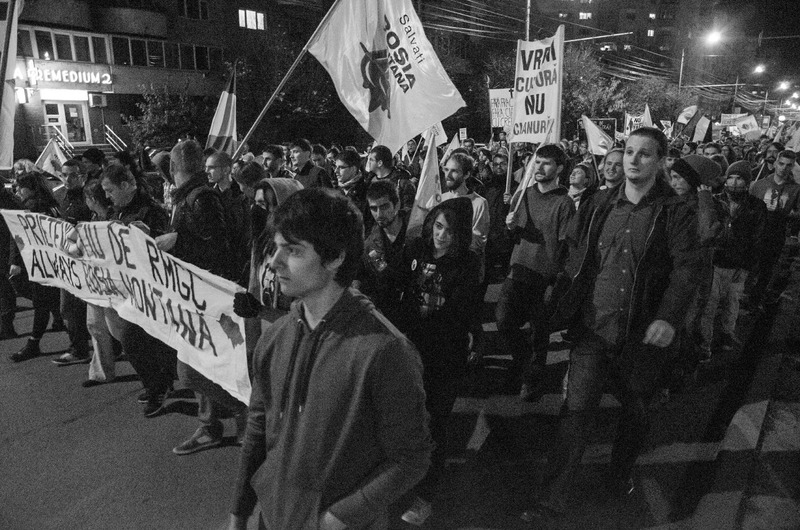 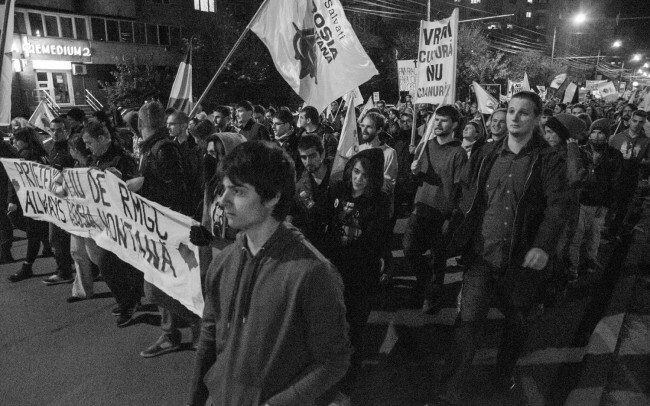 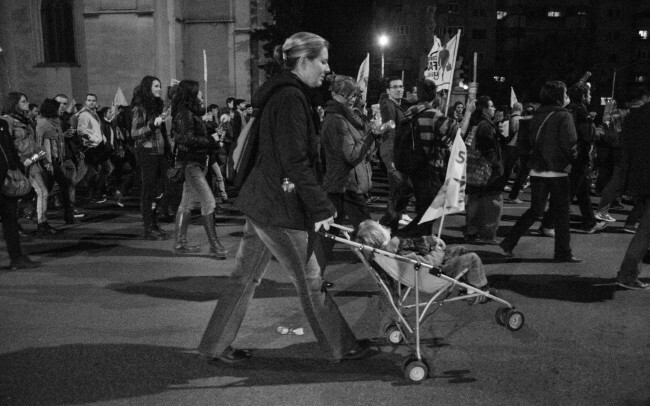 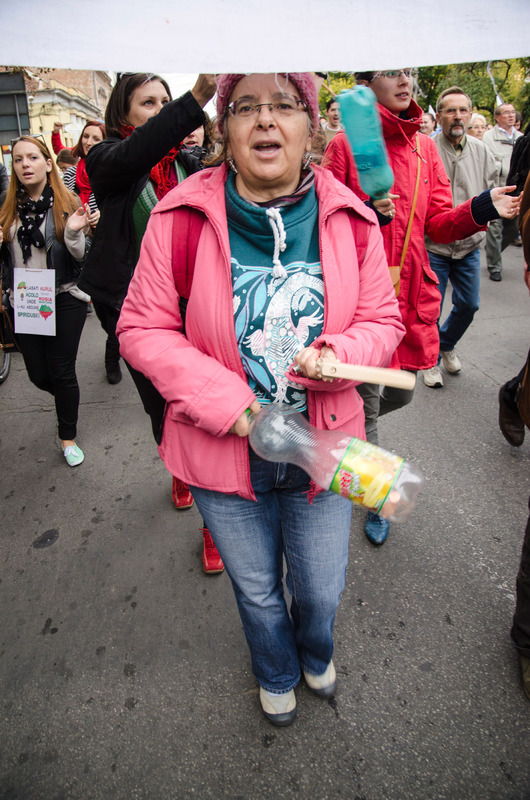 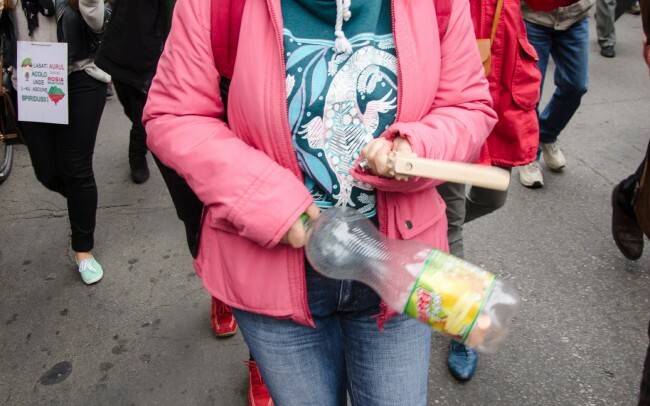 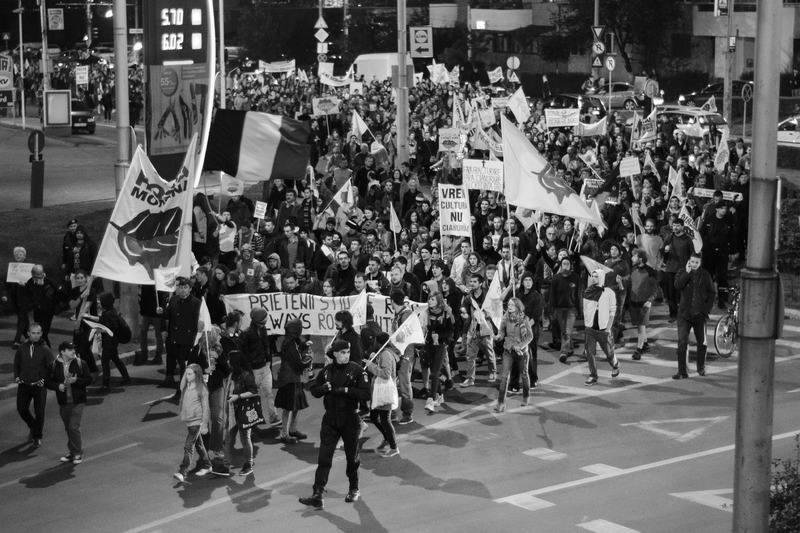 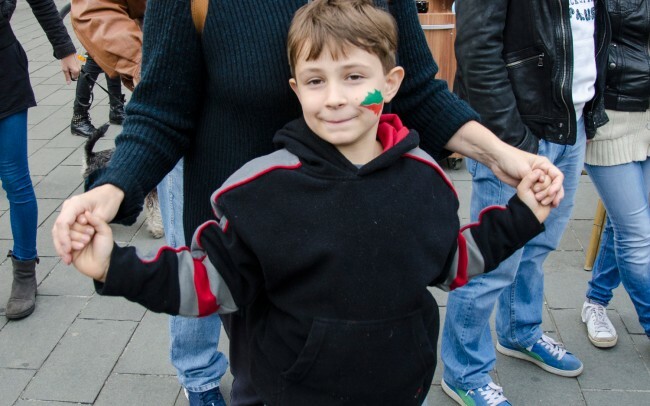 People marched towards the Cipariu Square from where they went on Titulescu Boulevard and then back to the Student Culture house by marching on 21st of December Boulevard. 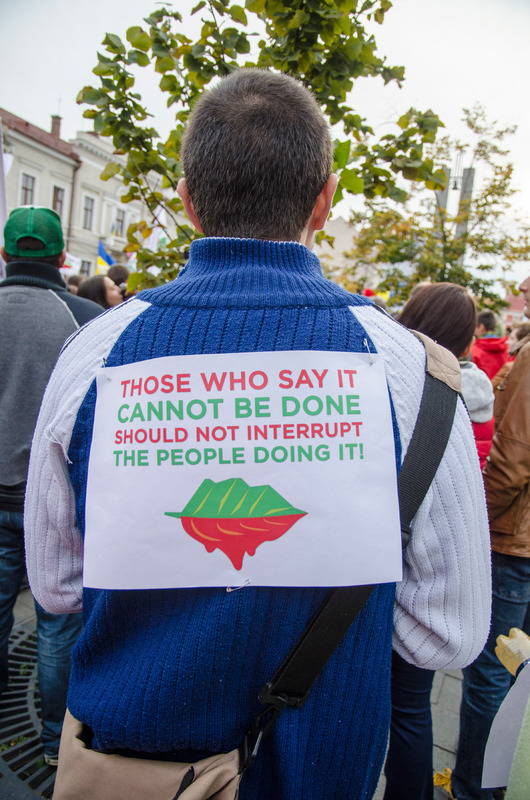 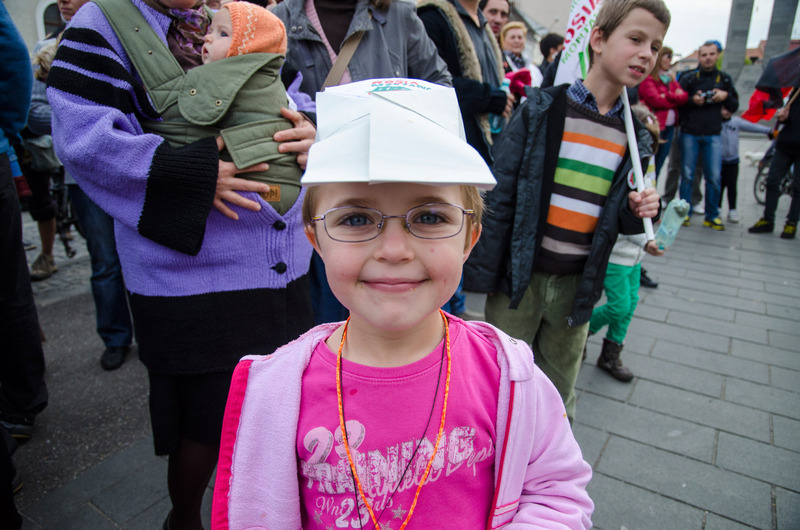 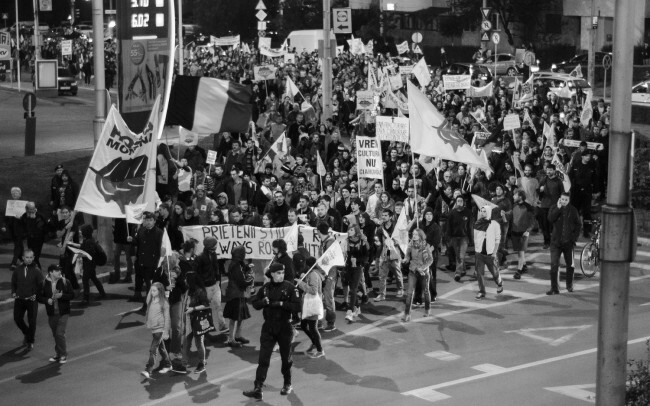 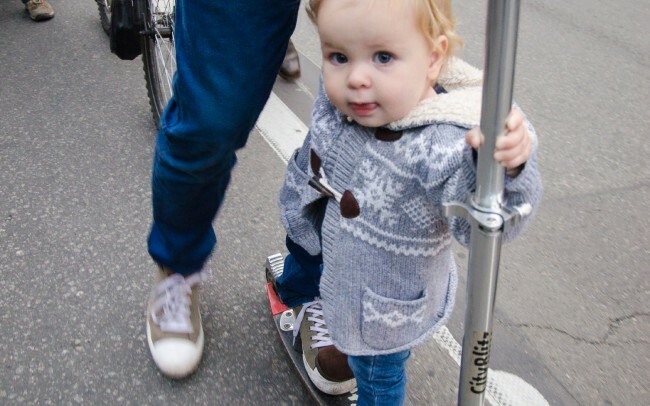 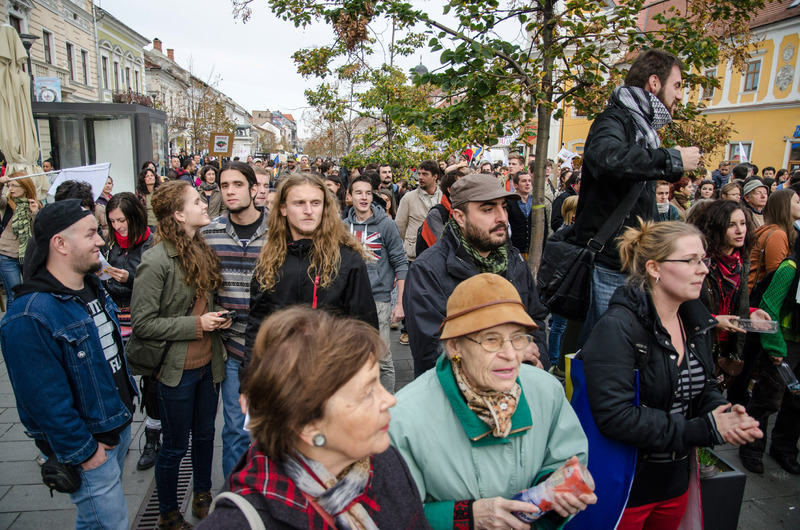 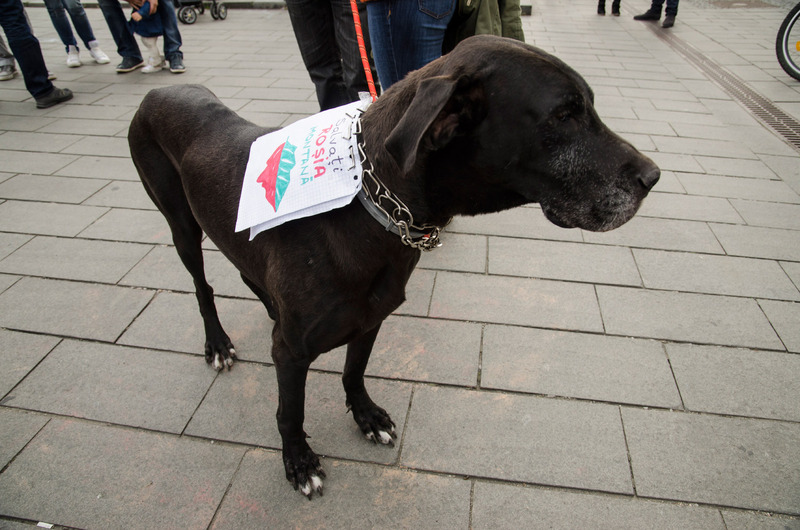 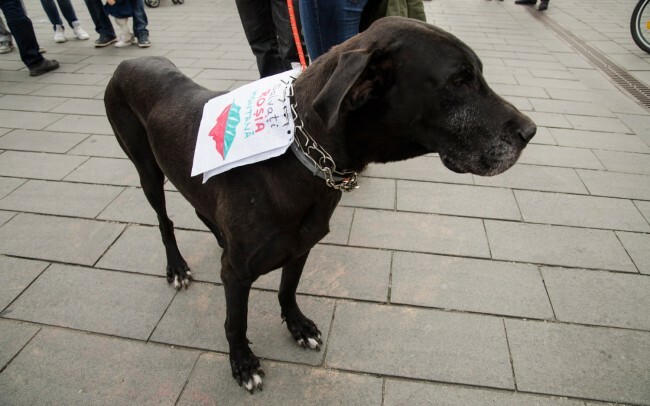 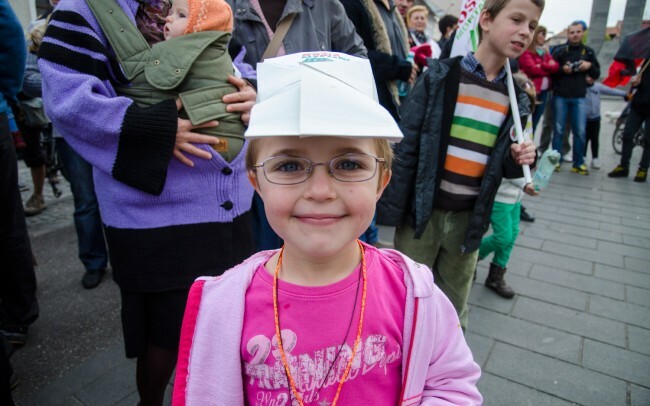 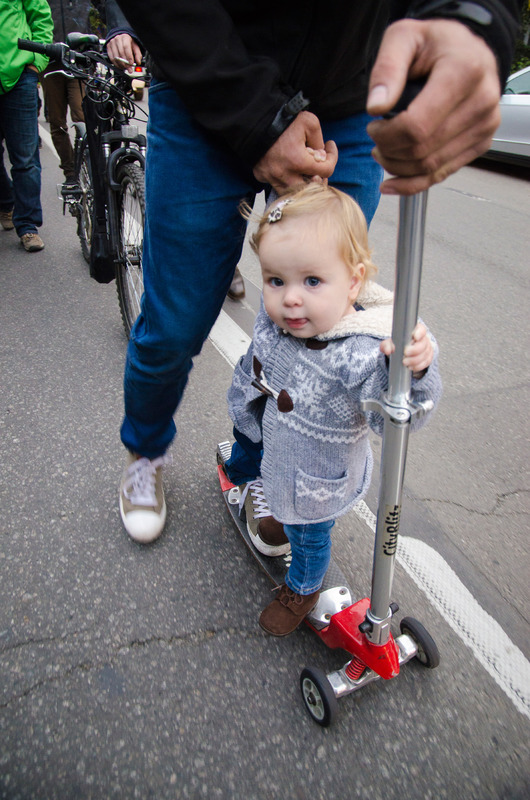 By the end, there were more than 16.000 people gathered for one sole purpose: to stop the project. 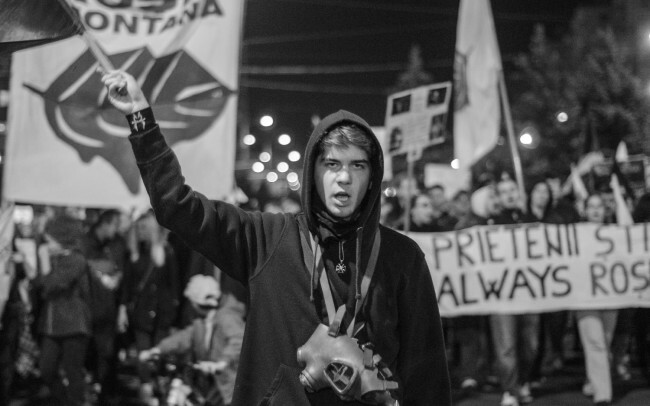 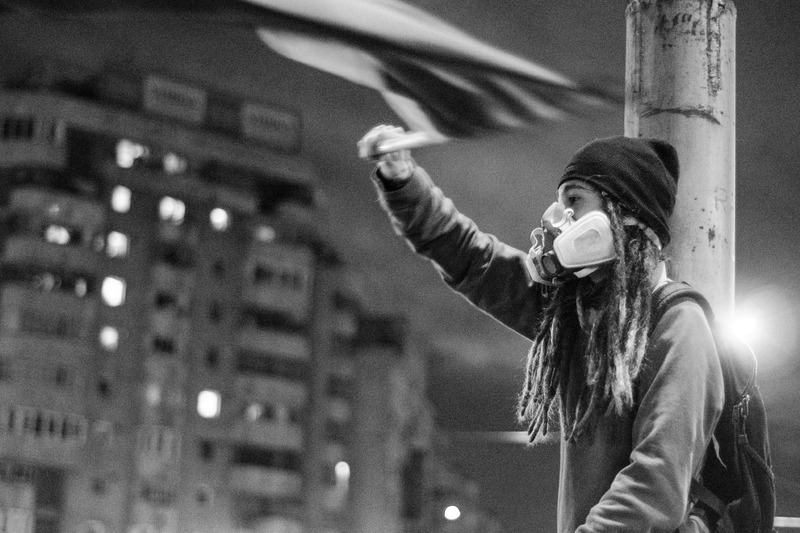 The number is an approximation made after asking many people who have been to the protests.